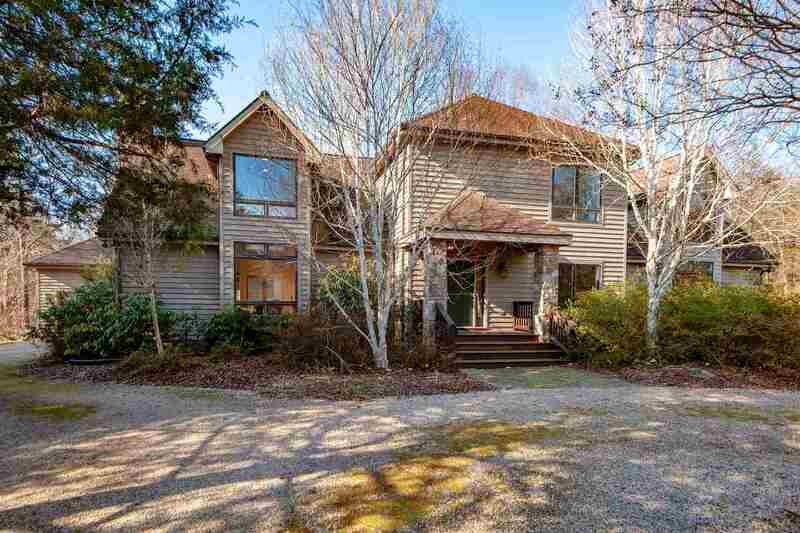 This home is owned by a very attentive builder and was built by one of the areas best builders. 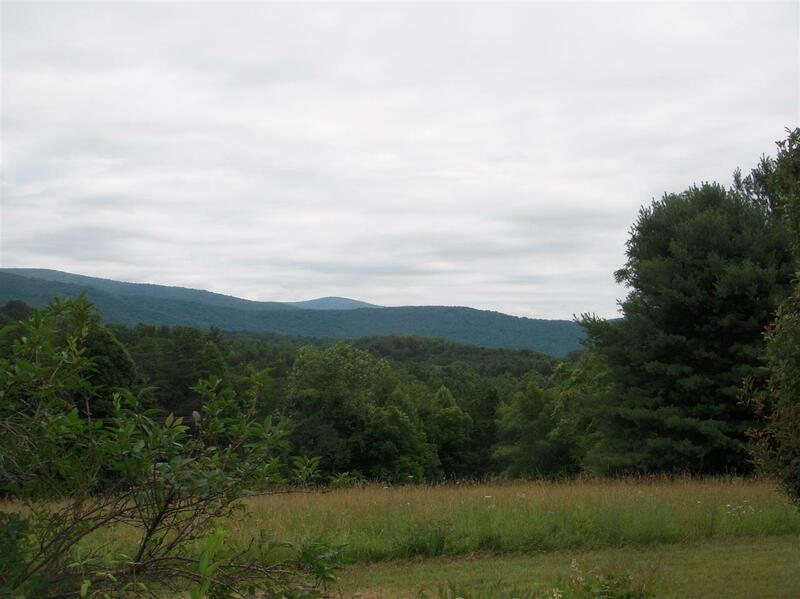 It is a short walk to all the facilities of Devils Knob.The house has many extras and is close to perfect as possible. 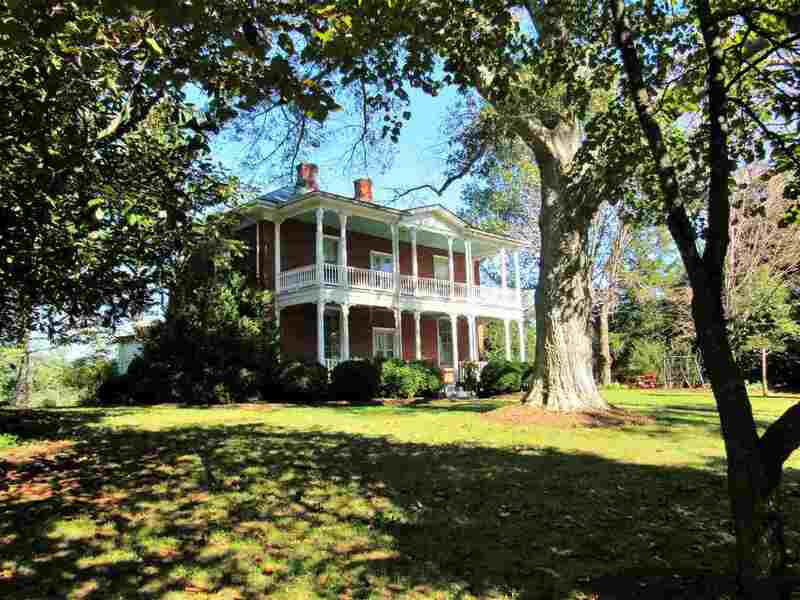 Only one owner and never rented.It is beautifully decorated and in mint condition and only 5 years old. This well-maintained Dunlora home offers plenty of space for the whole family with 5 bedrooms & 3.5 baths! 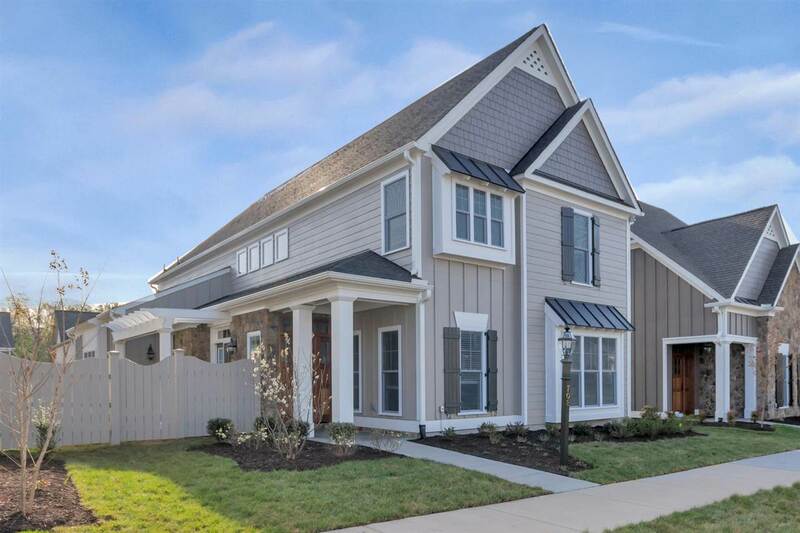 The main level boasts the eat-in kitchen w/tile backsplash & granite countertops, dining room w/wainscoting & chair molding, family room w/gas fireplace & a half bath. 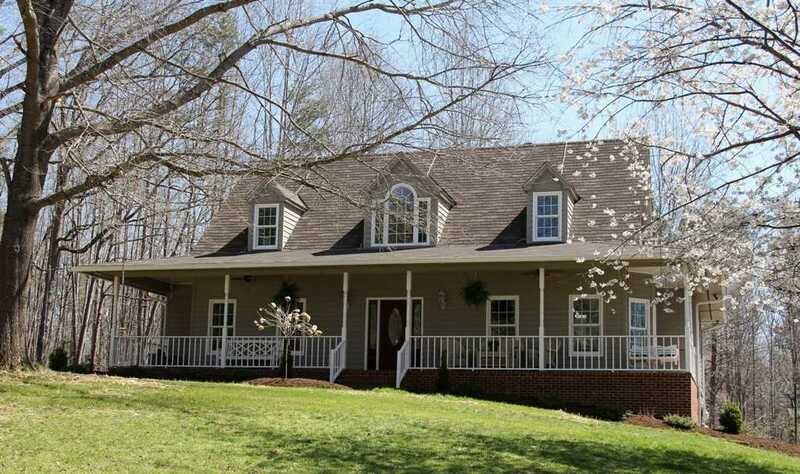 Upstairs includes the master suite w/vaulted ceilings, whirlpool tub & walk-in closet, 3 additional bedrooms & full bath. 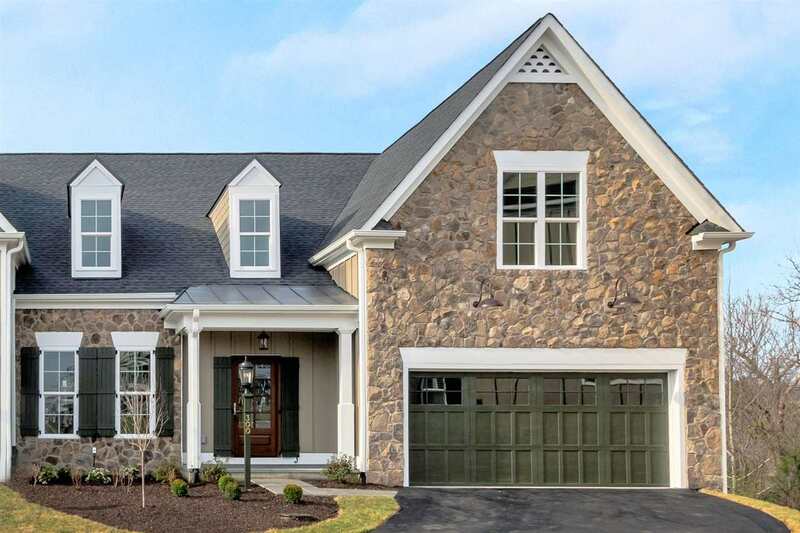 The finished basement features the 5th bedroom, rec room & full bath, great for guests. 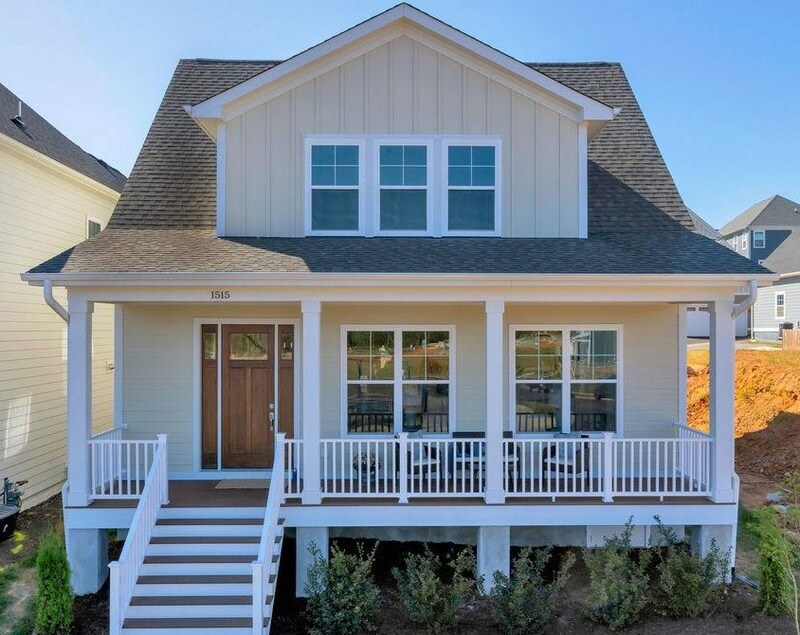 Outdoor spaces include covered front porch, rear deck, patio & a fenced-in back yard. The 2-car garage provides plenty of extra storage! 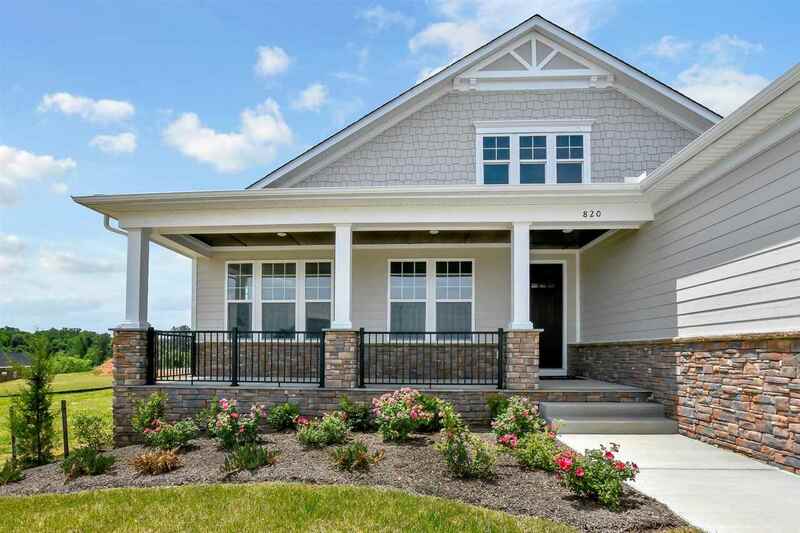 Dunlora offers a community pool, tennis, club house, exercise room & walking trails! 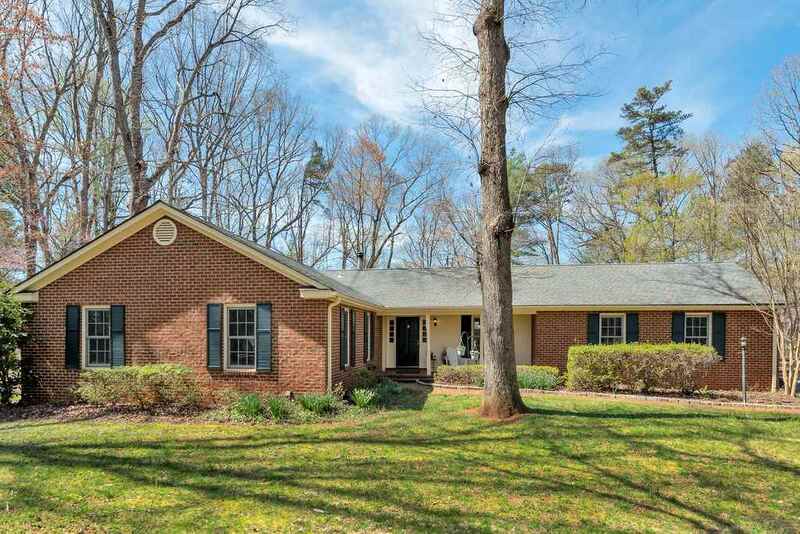 OPEN HOUSE 4/28 from 1-3. 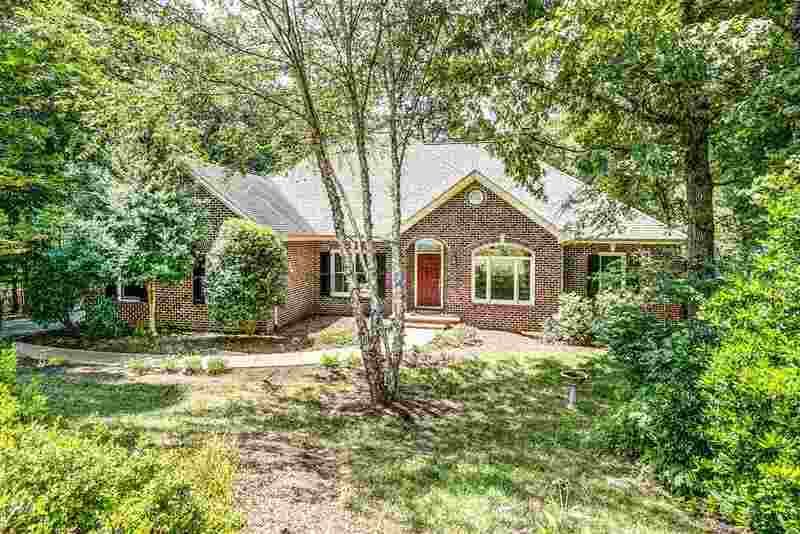 Massive lot, Value packed remodeled home on quiet street, neighborhood friendly,all brick home w/ modern & extensive updates inside & out. Hardwood floors, granite counters, stainless appliances, cherry cabinets, crown molding in every room, recently upgraded baths, porcelain tile, Italian tumbled marble, Travertine, w/ epoxy grout, recent roof w/ 30 yr shingle & titanium underlayment, custom removable coffered ceilings, Am Standard heat pump w/ electrostatic filter & humidifier, double hung low e vinyl windows, cat 5e jacks & rg6 cable throughout,private back yard. Terrace level features a bedroom, full bath & 7.1 surround wired media room w/ kitchenette. Easy access to RTF, CHS, YMCA & Tom Sox. 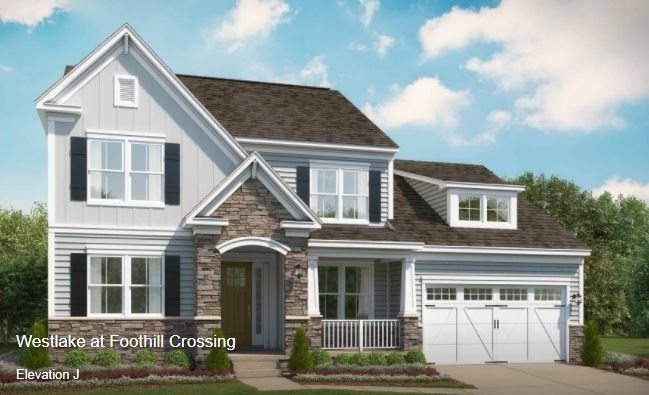 Late 2019/Early 2020 delivery - The Kempton features 3-5 bedrooms, 2.5-4 baths, a covered front porch, a 2-Car Garage & an included unfinished basement for additional storage or living space. Kitchen features granite counters, maple cabinetry, & stainless steel appliances. Open floor plan offers a stunning light filled double height ceiling in Great room. 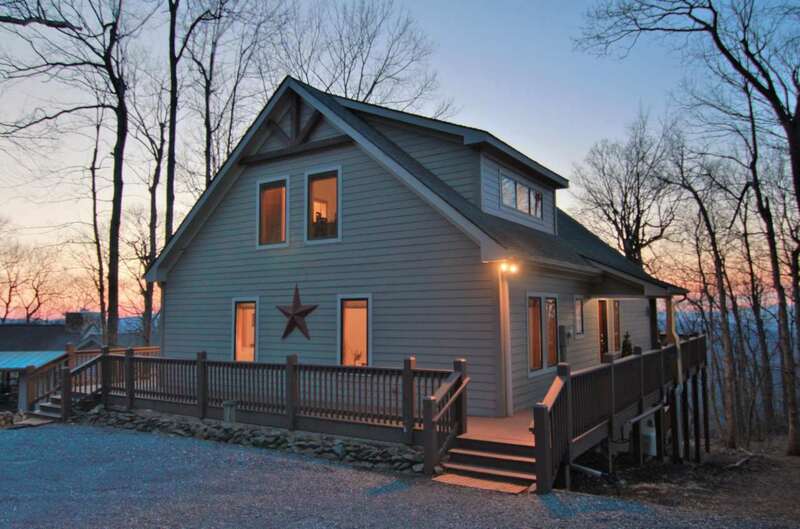 Available gas fireplace & screened back porch compliment this stunning home. 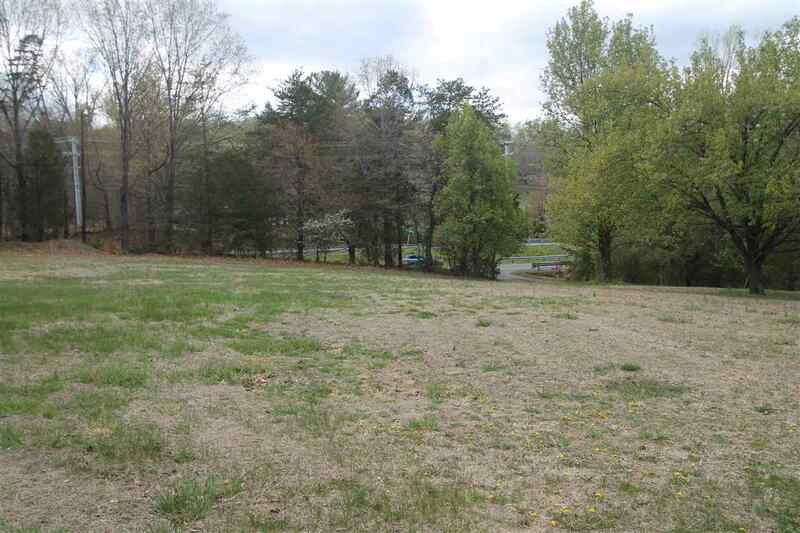 Walkout basement lot back to stunning woods & looks out over a pocket park toward the incredible mountain view! Eco-smart built, 3rd party tested, & HERS scored by to ensure quality. Choose your interior finishes w our Interior Designer at our 3000 sq ft Design Center. 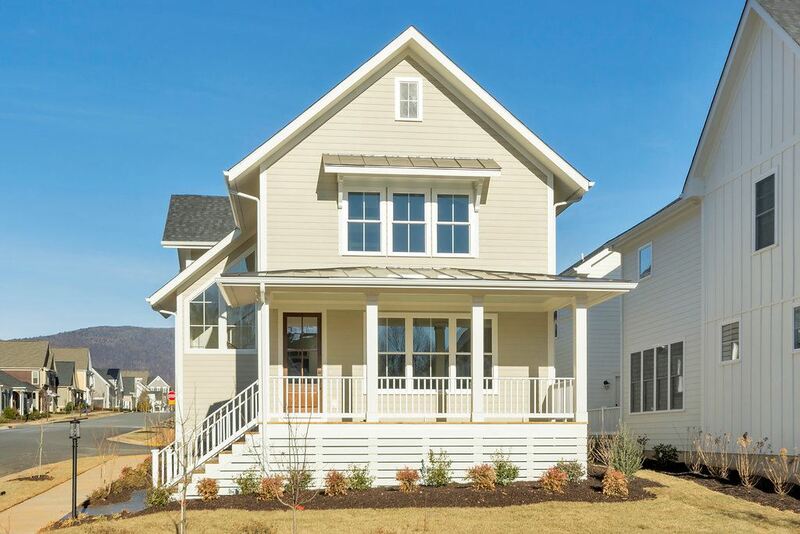 ROBINSON WOODS - well-appointed immaculate four bedrm residence built by R. L. Beyer Custom Homes as a model home. The bright comfortable house has spacious living room w/ gas fireplace adjacent to kitchen dining area. 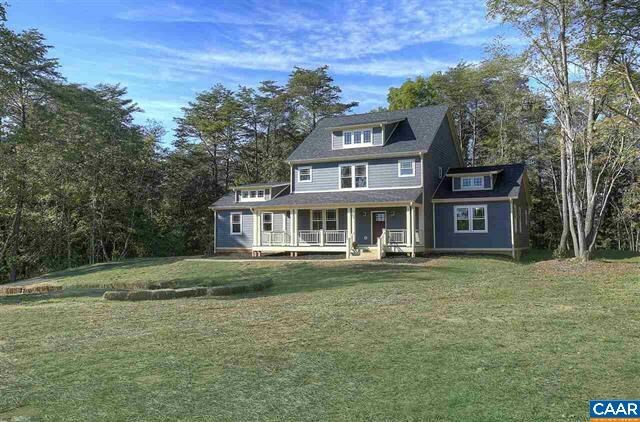 Second floor has master & master bath along with two additional bedrooms & bath. Third level is a wonderful finished room w/ full bath. Flexible space for fourth bedroom or home office. Many extras such as wood floors & gas line to grill. Oversized deck to the rear. 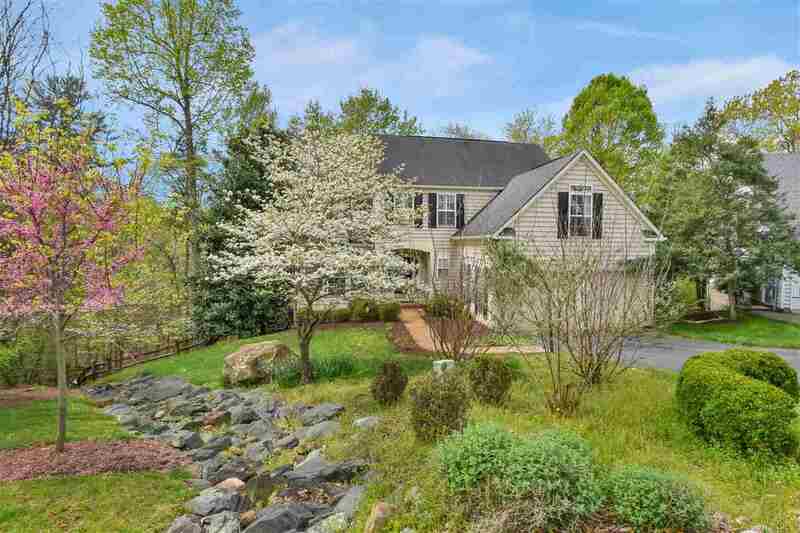 Neighborhood has common areas w/ open grassy play space & forest with stream & footpaths. A bit of country in the City! 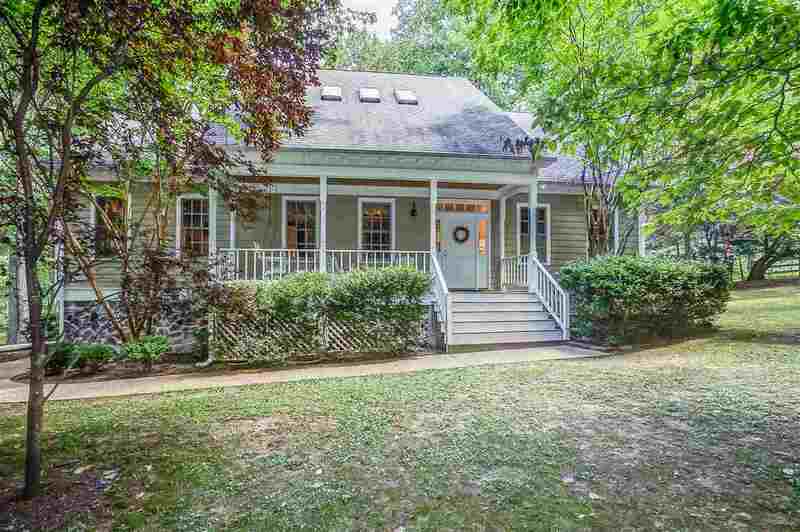 Conveniently located in a sought-after popular small City residential neighborhood centrally located & just minutes from Downtown & UVA. 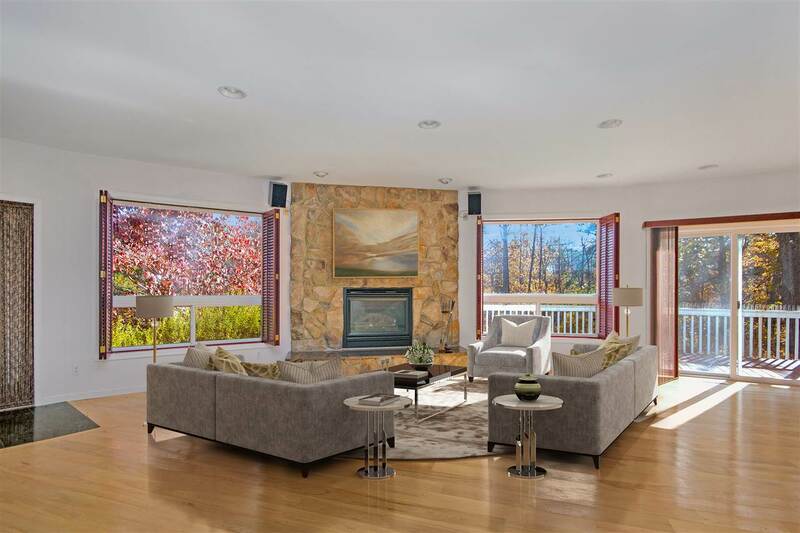 Outstanding custom built home with seasonal mountain views, a private elevated setting with cooling summer breezes, this spacious home was built by one of the most respected builders in the area. 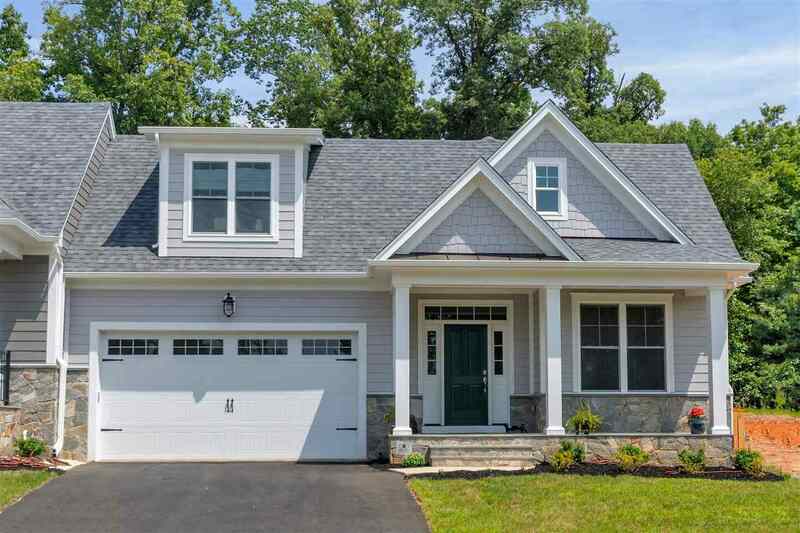 Designed with an eye to create gracious flow for entertaining and convenient one floor living, this home has a bright sunroom off the kitchen, large family room and breakfast room, large dining room, master with his and hers master baths, 3 car garage, spacious deck of low maintenance ironwood. Terrace level bedroom or office, large hobby room or workshop, den, and additional unfinished area on the upper level which could be finished if desired. 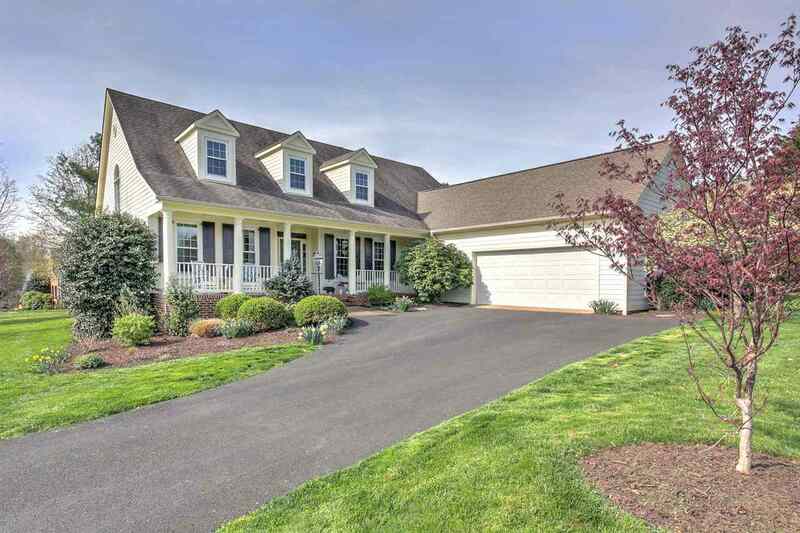 Meticulously maintained, this home is ready to welcome a new owner! 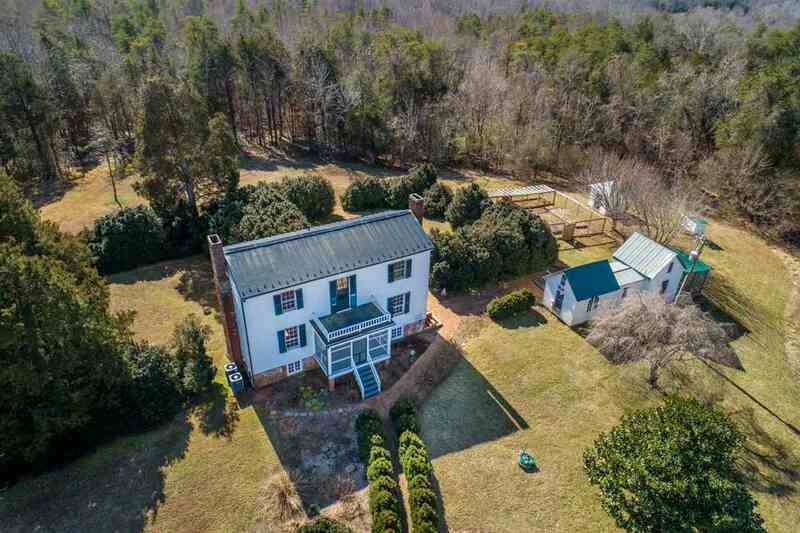 Enjoy country living and mountain views from this beautiful home located at end of cul-de-sac in an upscale NW Albemarle County neighborhood. 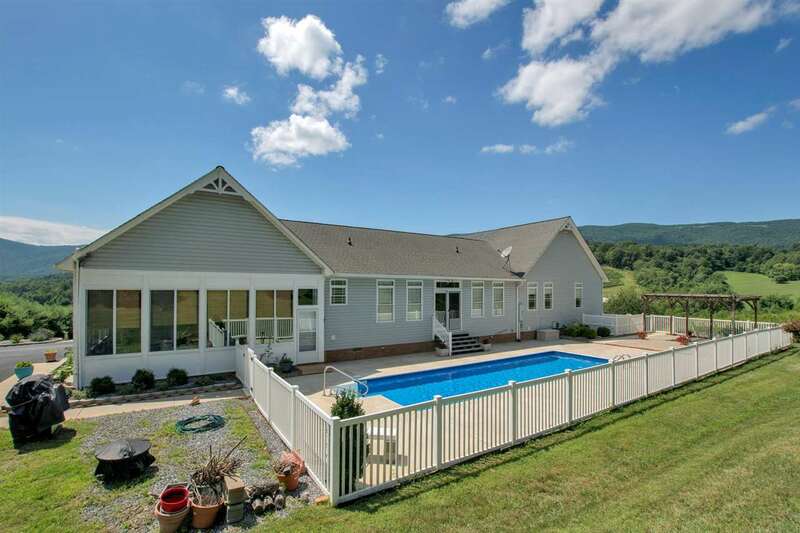 A fully equipped kitchen with granite countertops, stainless appliances and a spacious great room that opens to a wonderful and inviting screen porch and deck are the heart of this home. 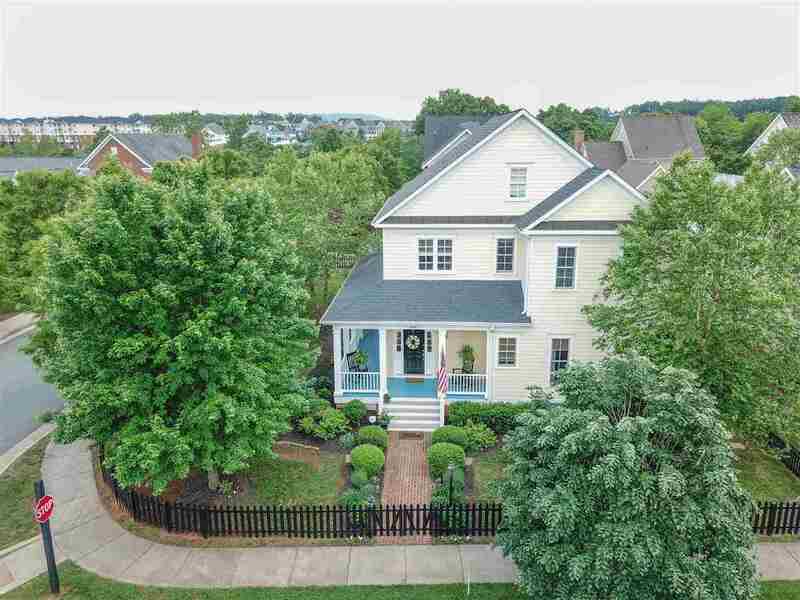 Additional features include hardwood floors, first floor office, formal dining room, a finished terrace level that has a huge recreation room with full bath (space for a pool table) whole house generator, wiring in place for a hot tub on lower deck and oversized two car garage. Lovely neighborhood and peaceful living. Convenient to NGIC, DIA Hollymead Town center. 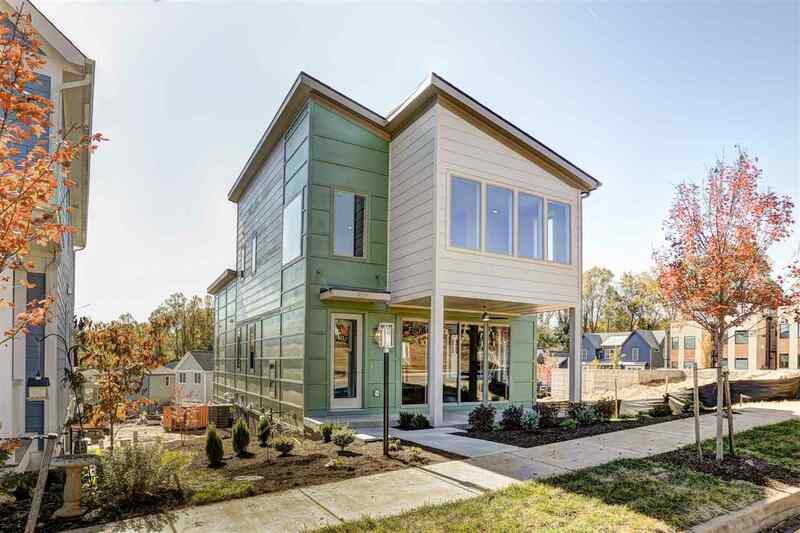 THIS HOME FEATURES MODERN FLOOR PLAN, MAIN LEVEL MSTER SUITE, AND IS PRICED SUBSTANTIALLY BELOW CURRENT TAX ASSESSMENT! 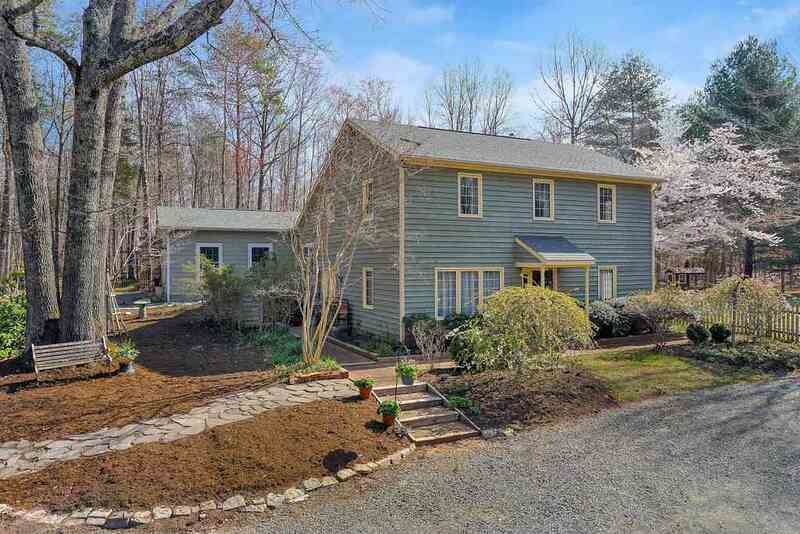 Privately situated on a quiet cul de sac, with elevated lot, this home in Mosby Mountain enjoys winter views of Carter\'s Mountain, and is just minutes to UVA, Wegmans and other shopping, and Downtown Mall. Home in EXCELLENT CONDITION, and has first and second level master suites, a total of 5 bedrooms, 4 full and 1 half bath, two car garage, and walkout terrace level for extra family room, rec. room or in-law\'s quarters. There are hardwood floors on most of main level, vaulted ceilings, lots of windows and light, lbeautiful sunroom, large rear deck. GREAT PRIVATE LOCATION AND A GREAT PRICE!!! NEW Hardwood Floors & Carpet! Brick 1.5 Story in the Glenmore Cottage Section. Offering one level living with a first floor master suite and laundry on the main level, plus 3 bedrooms on the second floor the design is well suited for empty nesters or a larger family. The wide entry foyer opens to a formal dining room and living room and leads directly into a vaulted great room with wood burning fireplace and bookshelves. 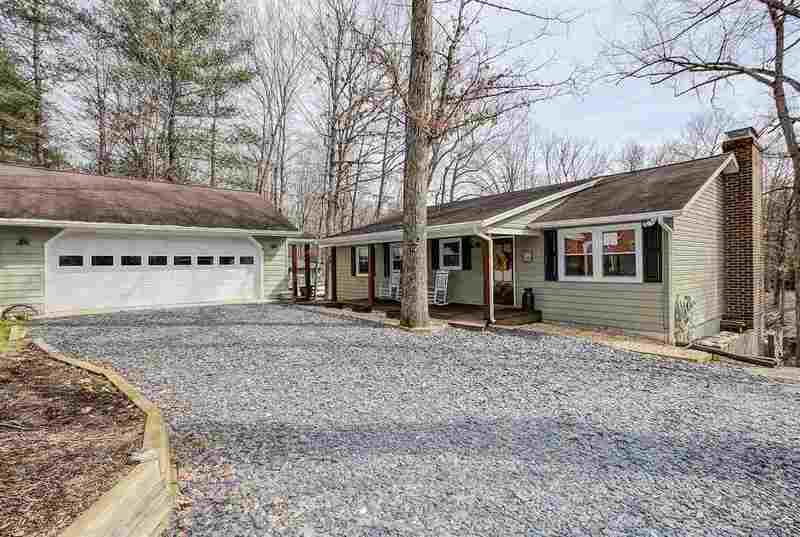 Best of all is the recently custom built screen porch and deck that opens onto a level rear yard. The kitchen enjoys new Samsung & Bosch appliances, granite tops and a beautiful tiled back splash. Other recent improvements include tiled glass master shower, interior paint, new 2 Zone HVAC units and sealed crawl space. 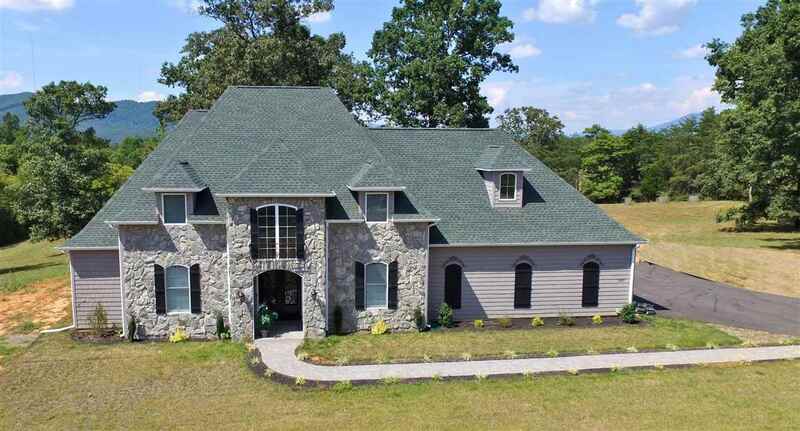 Beautiful ALL BRICK Custom home, open floor plan with 14\' ceilings in Great Room and Dining Room. 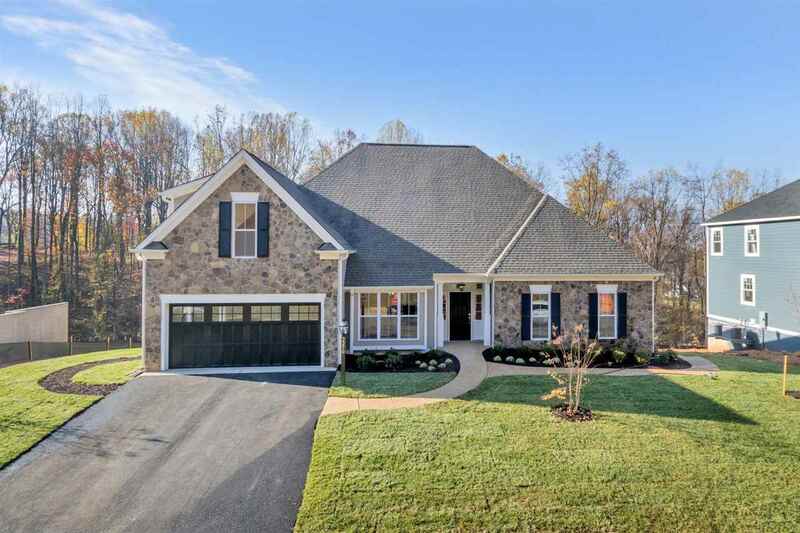 Diagonally sited on a lovely scenic corner lot with a curved stamped concrete entrance and landscaped beds; a dramatic covered front porch welcomes you home in picturesque Guildford Farm. 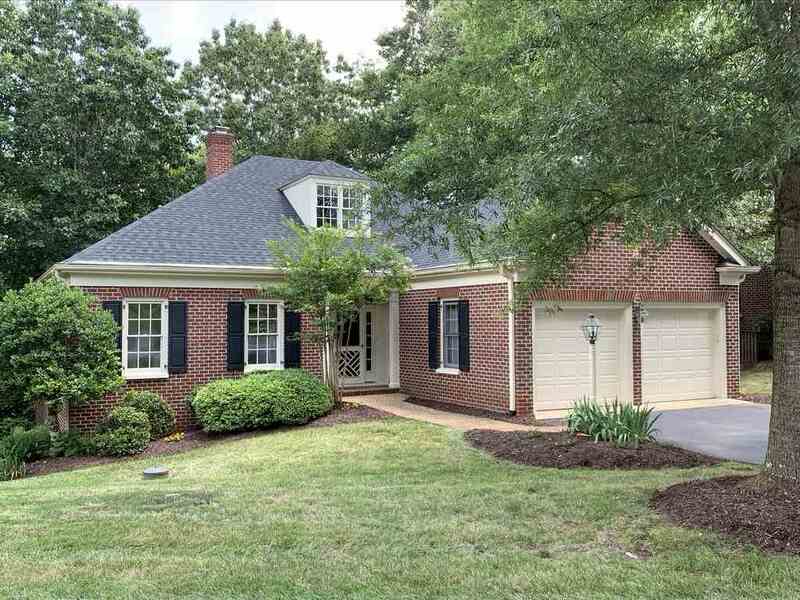 5 large bedrooms, 3.5 baths AND a bonus room or home office! 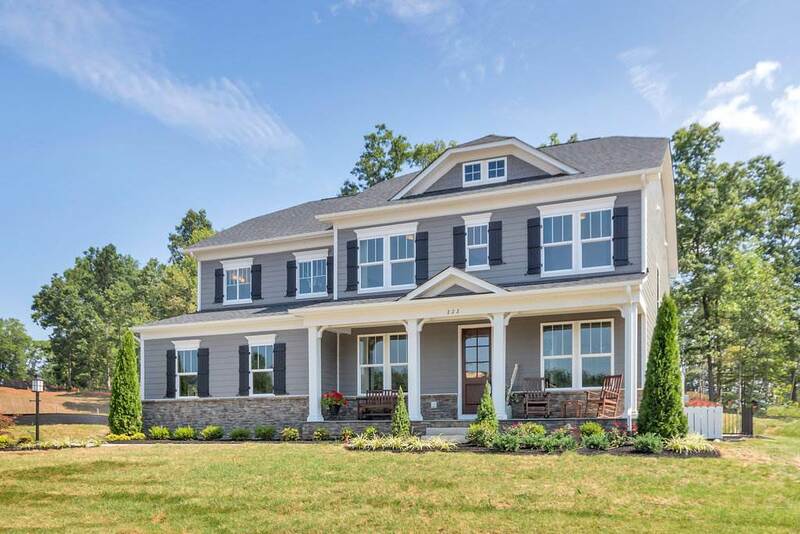 Features include hardwood floors, abundant windows, a split bedroom design with opulent master suite and spa bath, spacious dining room and a soaring fireplace. Smart home with security and home audio surround sound system on both levels. The expansive upper deck with fan and recessed lights is right off the kitchen overlooking the firepit and patio. Bonus! Eight Person Hot Tub. One level living at its best! Many recent updates with attention to details. Built in bookshelves in the library, nice tall ceilings, gourmet kitchen with gas range and convection wall oven, gracious size master with deluxe walk in closet, large sunroom off the back leading to multiple deck areas, guest bedrooms sharing a jack & jill bath, formal living room and nice sized family room with fireplace, a generator and even a guest cottage with full kitchen. This home has it all. 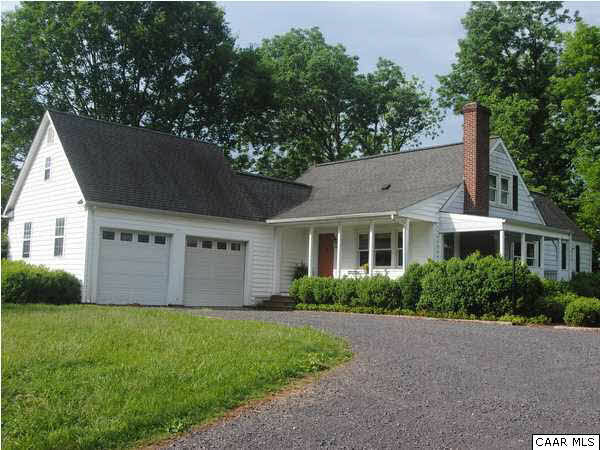 Spacious home on 2 very private acres, in one of Ivy\'s favorite established neighborhoods. The sunroom addition is the brightest spot in a bright home! 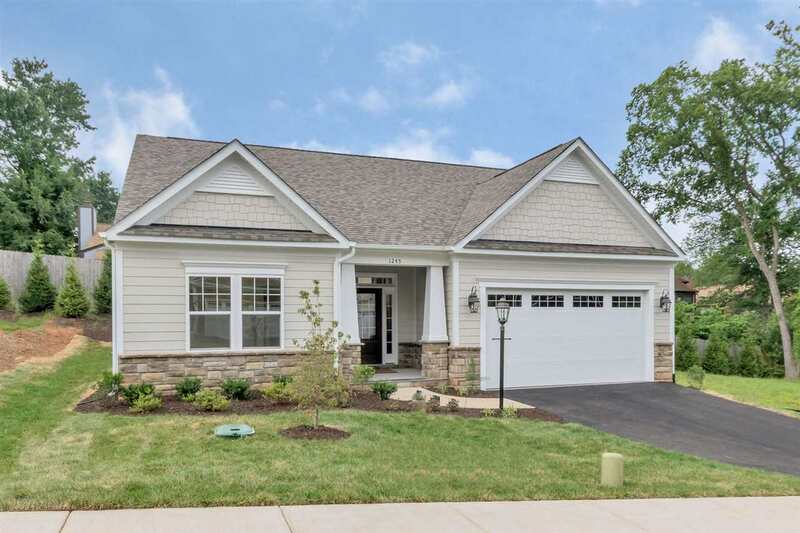 Some of the unique features that make this home so inviting include an updated kitchen with leathered granite countertops and modern white cabinets, a large wet-bar off the sunroom with new butcher-block counter, and an expanded 2-car garage for your tinkering or storing pleasure. 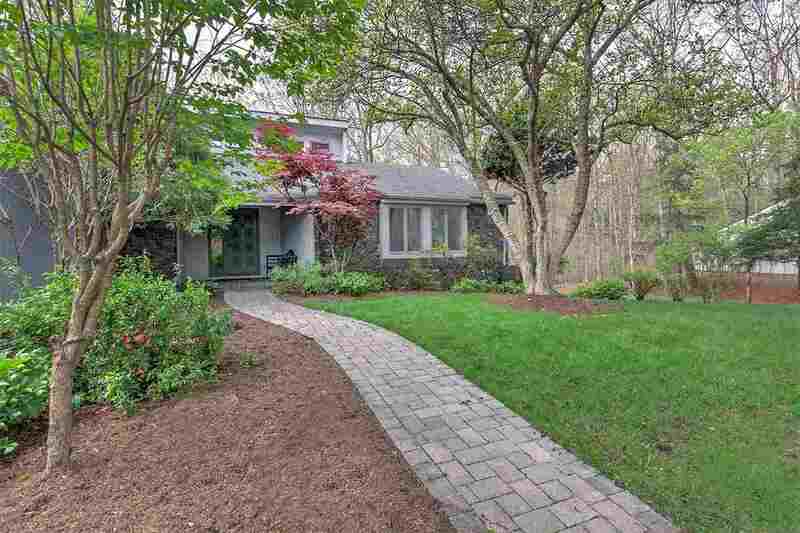 Nice back patio opens into a grassy and partially wooded backyard with your own tree house. 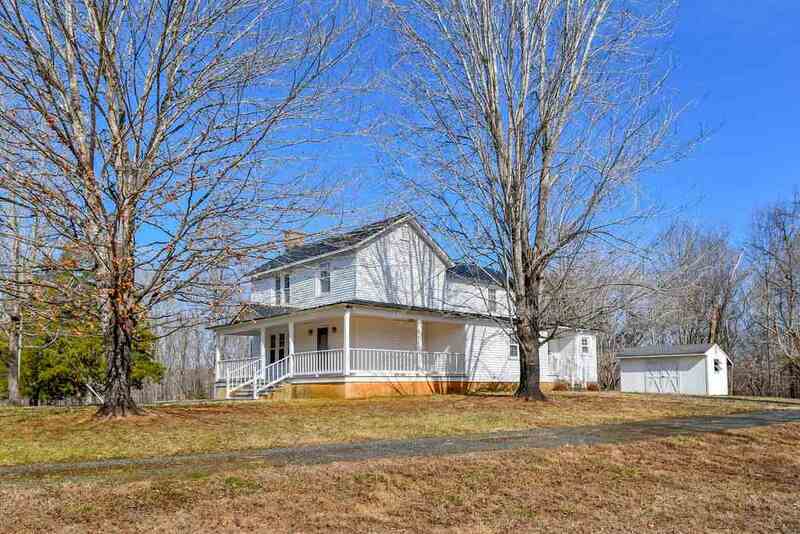 Charming two story farmhouse with separate guest quarters and 2.5 garage. Custom built for owner in 2015 - beautiful detail throughout. 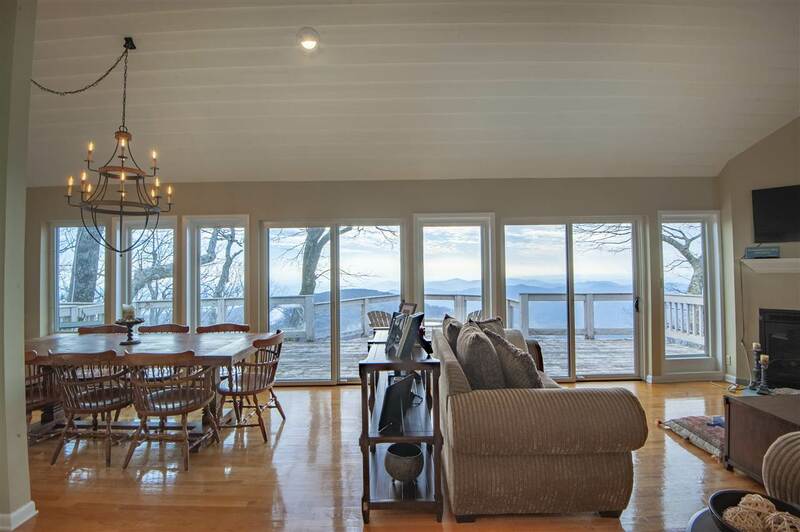 Great Room with woodstove, dining room with built in bar area with wine refrigerator. Spacious gourmet kitchen with granite and loads of light. 1st Floor Master with full bath, 1st floor laundry and powder room. 2 bedrooms with bath and sitting room on upper level. Guest Quarters has 1 bedroom, full bath, combination room with with wetbar, refrigerator, microwave, separate water heater and heat pump. Main house has tankless water heater and dual HP system. 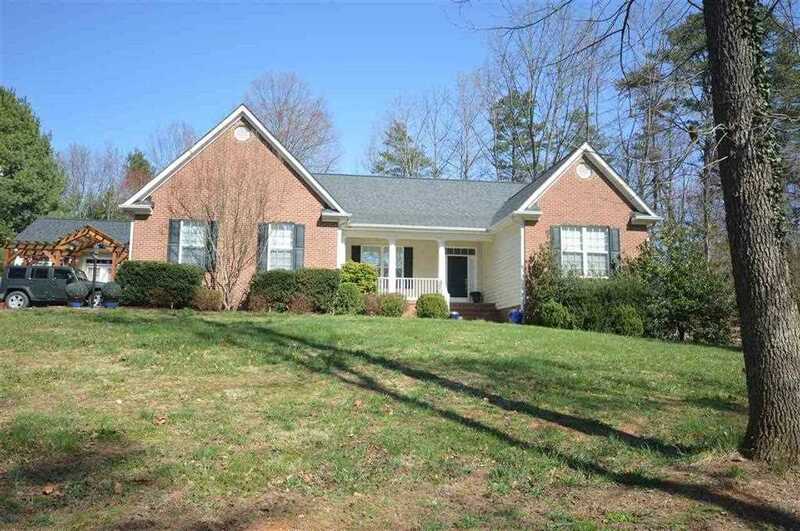 Beautiful walnut floors, screened porch, basement with full bath, woodstove and great storage. Basement could have 3rd garage if wall was installed. 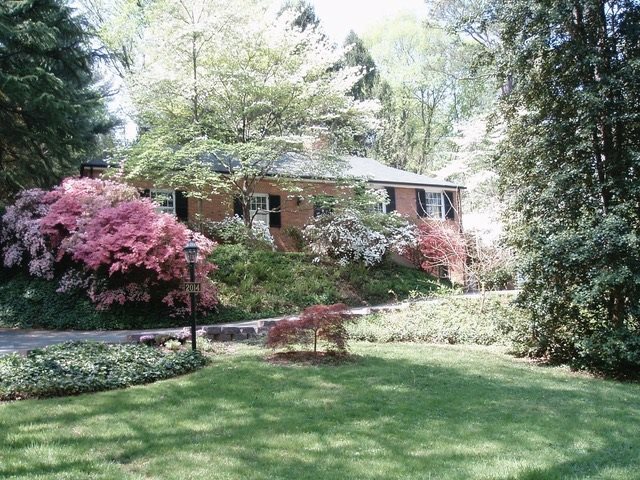 Charming property on a beautiful lot in one of Ivy\'s favorite established neighborhood of West Woods. Brand new roof installed February 2019. Granite countertops added to the eat-in kitchen. 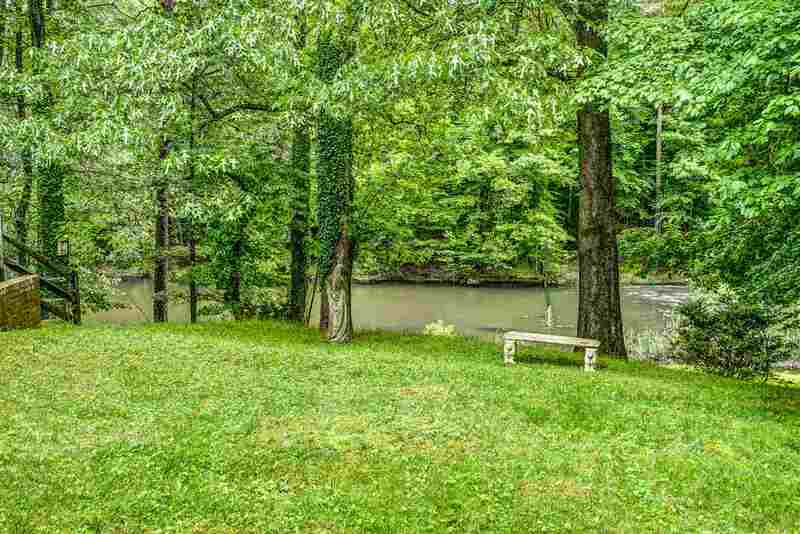 Beautiful, peaceful yard features a creek along the entire rear edge (400 ft long!). 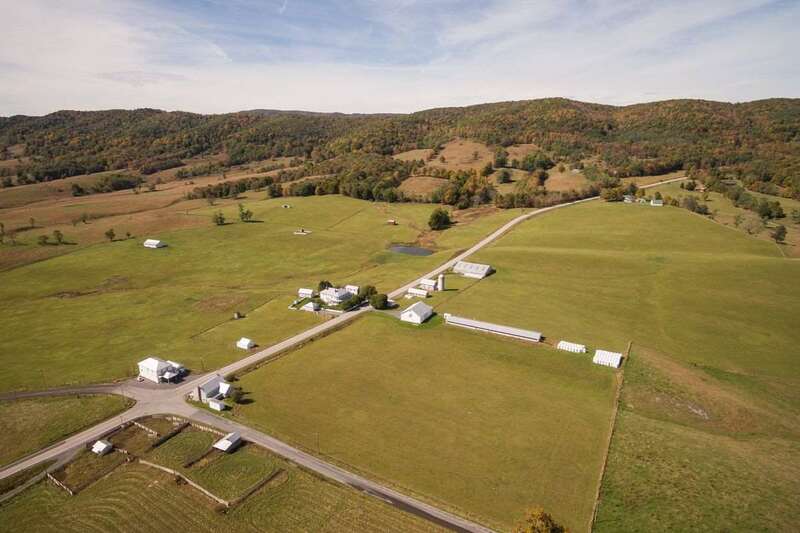 Behind the property is a beautiful 35-acre farm, which guarantees you tranquility and the occasional horse sighting! 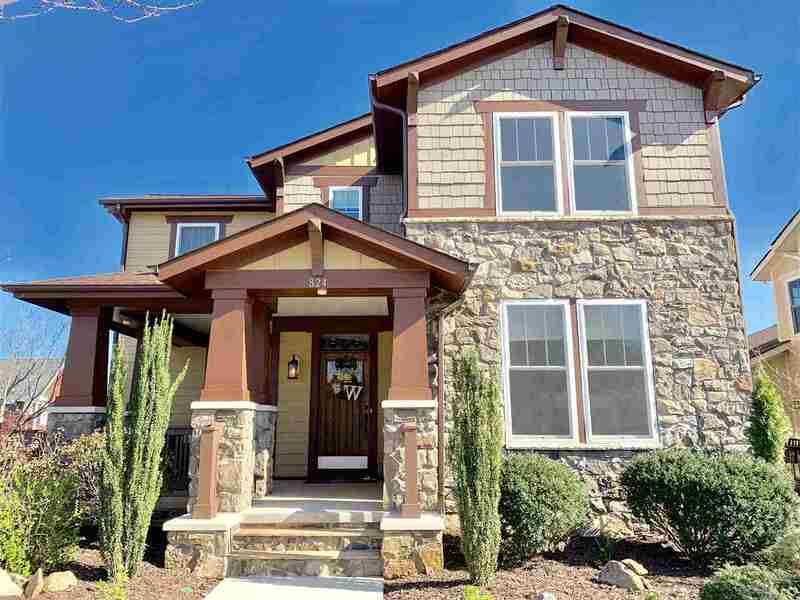 West Woods is a wonderful cul-de-sac neighborhood of 50 homes, with no HOA, only a mile from Meriwether Lewis Elementary. 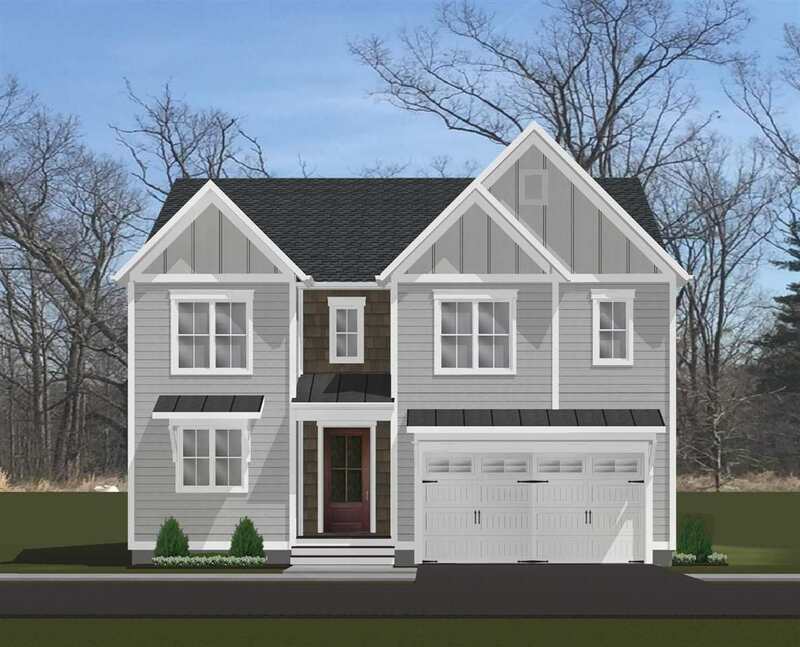 Late 2019/2020 delivery - The Grayson features main level living w a master suite, kitchen, laundry room, great room & flex/study on main level. 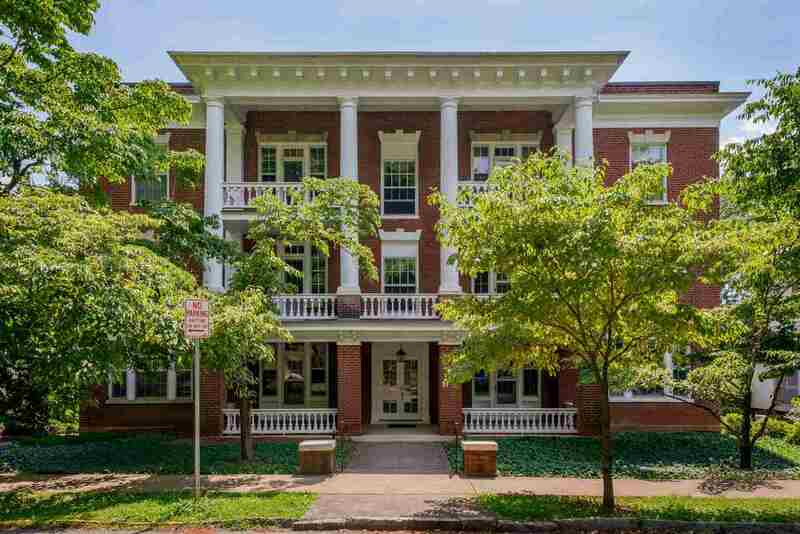 Two additional guest bedrooms, full bath, & multi-use loft space on the 2nd floor. The gourmet kitchen features granite counters, maple cabinetry, & stainless steel appliances. Open floor plan offers 9 ft ceilings w vaulted ceiling options. 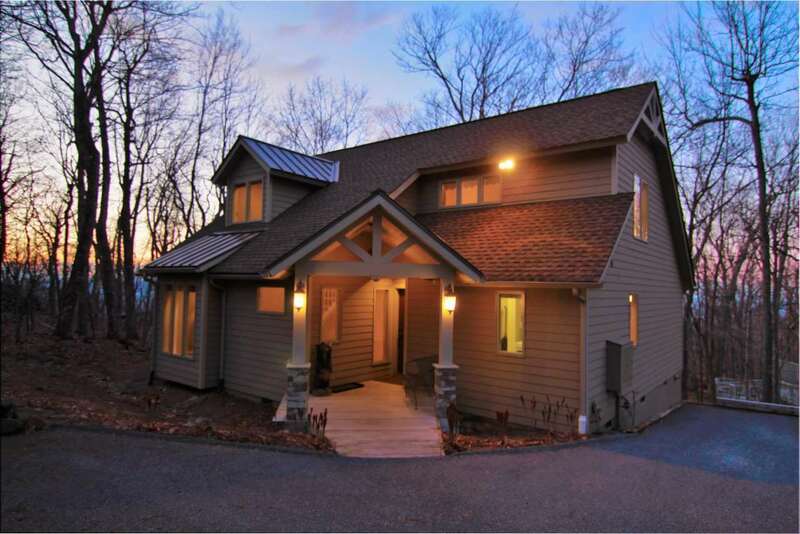 Available gas fireplace & screened back porch compliment this stunning home. Walkout basement lot back to stunning woods & looks out over a pocket park toward the incredible mountain view! Ecosmart built, 3rd party tested, & HERS scored by to ensure quality. Choose your interior finishes w our Interior Designer at our 3000 sq ft Design Center. OPEN SUNDAY 3/31 FROM 11am - 1pm!!! 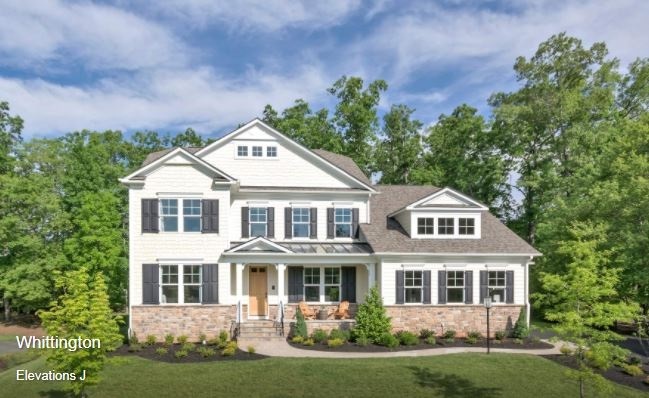 Spectacular, like-new home in rarely available Belvedere. Crisp, modern style with plenty of living space on multiple levels. Convenience abounds! 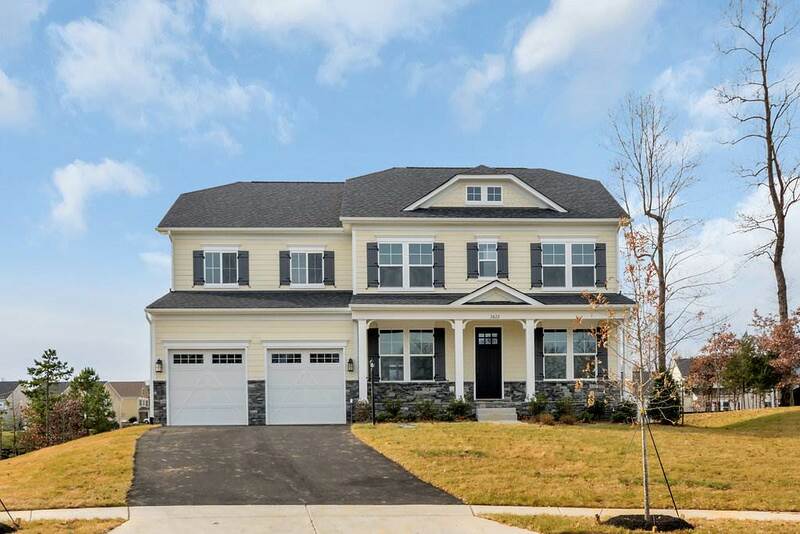 Don\'t miss this awesome home with detached 2-car garage; stainless steel, granite, hardwoods throughout - everything you\'d expect from a luxury home like this one and all at an affordable price! Finished bonus space with full bath above 2nd floor! Basement has full bath and is otherwise ready for your design and expansion! Tons of storage. 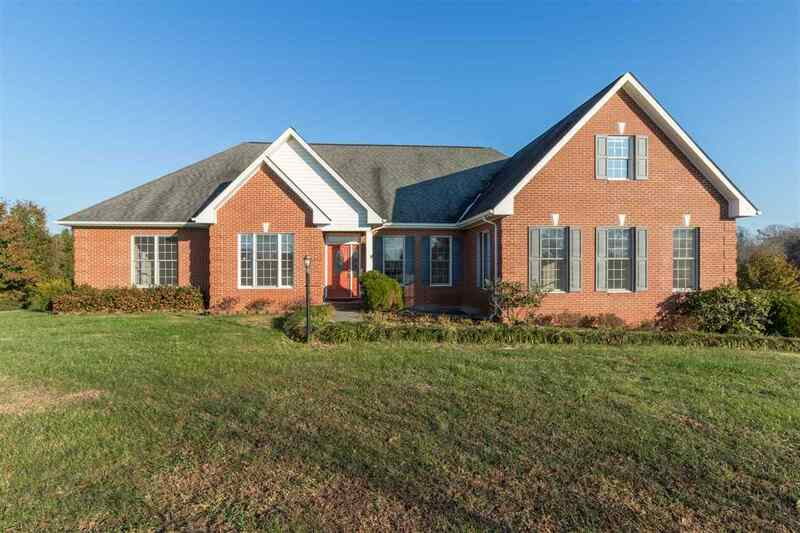 Brick front home on a premium lot in Dunlora. 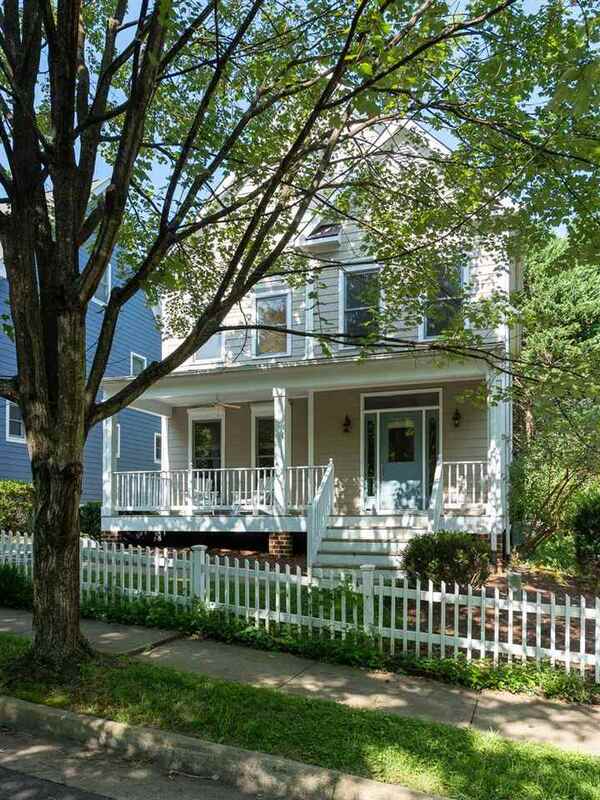 First floor master bedroom, with large beautifully renovated master bath with glassed walk in shower, dual vanities. Family room with gas fireplace (can be woodburning) cathedral ceiling, skylights and upper windows to allow lots of natural light. White kitchen with granite counters and breakfast bar, plenty of cabinet storage, and opens to an oversized breakfast room with walls of windows and views to the professionally landscaped fenced backyard and outdoor entertaining patio. Second floor offers 3 bedrooms, two share one full bath, third bedroom has its own attached full bath. Two car oversize garage. Dunlora offers many maintained walking trails to the Rivanna River. Home is move in ready! 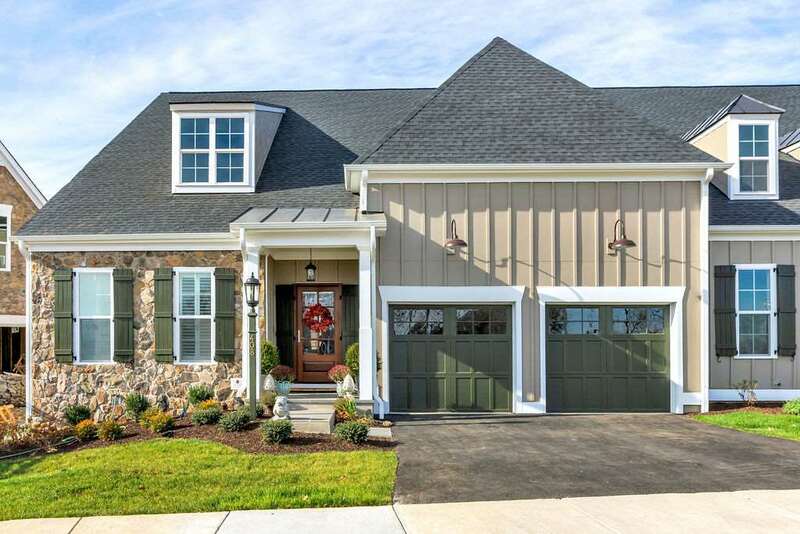 Fabulous, light-filled home with one of the best floor plans in Dunlora! Situated on half an acre on a quiet cul-de-sac within walking distance of pool, fitness center, kids play area and clubhouse. House has stunning palladium windows, gas fireplace, kitchen has stainless steel appliances, & granite counter tops. Laundry is upstairs amidst Master Suite and 3 additional bedrooms. HVAC replaced in (2017) with high efficiency unit comes with 10 yr warranty. 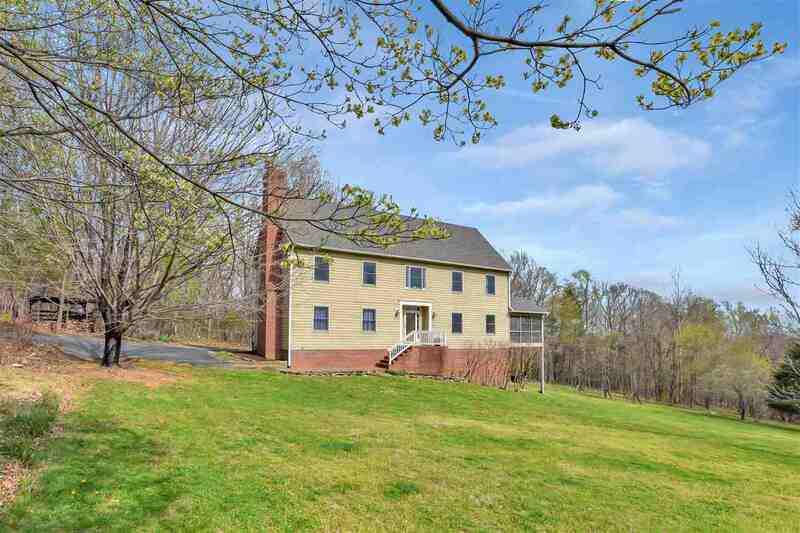 The lower terrace level of the home has a finished recreation room and full bath that leads out to terrace. 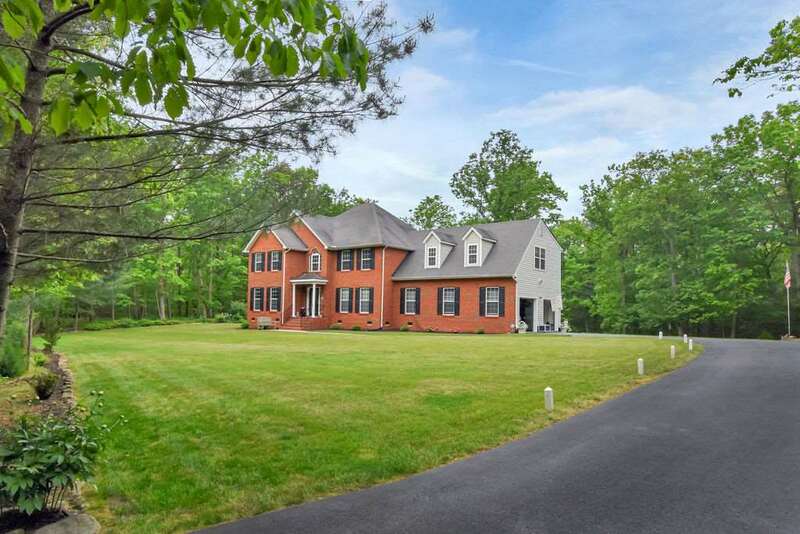 The lot is private, facing a wooded preserve. Yard is fenced & ready for pets! 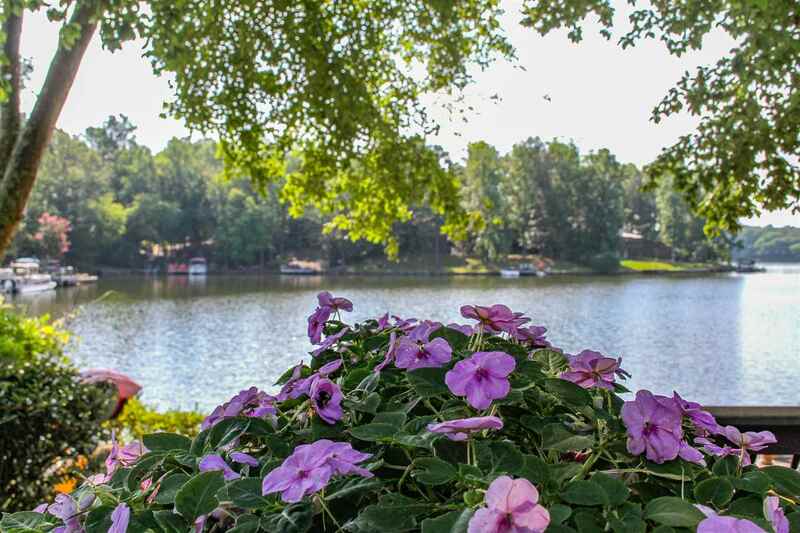 Dunlora community features nature trails, bike paths, and tennis courts, don\'t miss this one! 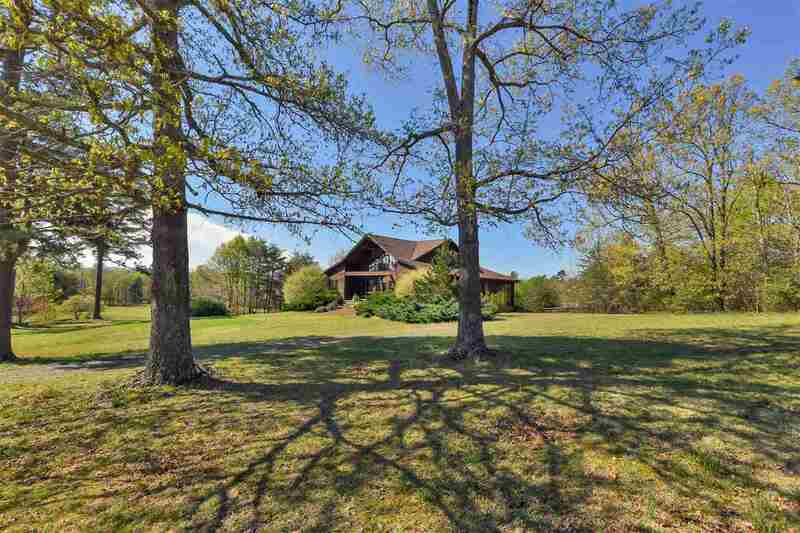 This one-of-a-kind log cabin brimming with rustic charm is privately nestled among 11.90 wooded acres. 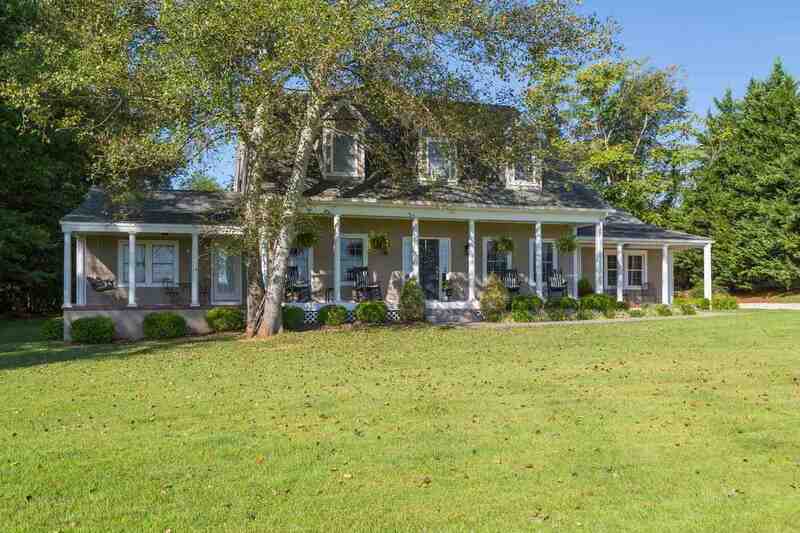 Enjoy relaxing & entertaining on 3 outdoor porches. Stay warm in the winter months with 2 wood-burning fireplaces & 1 gas. 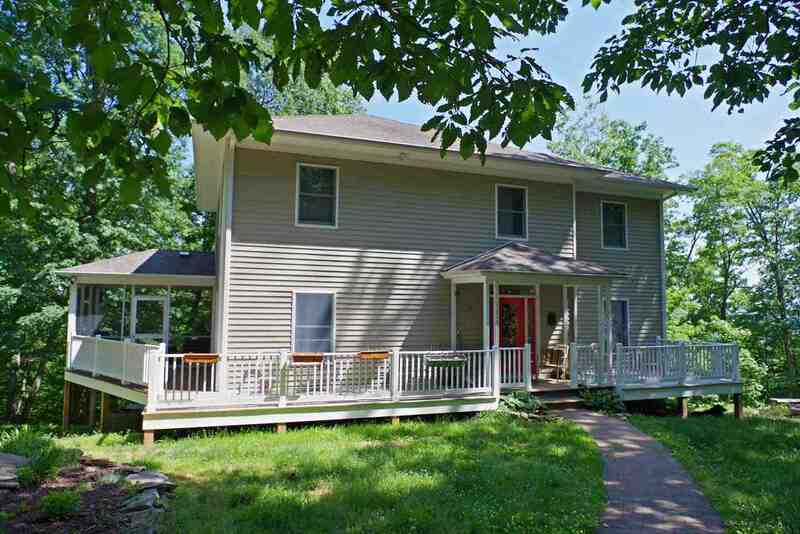 Main level: sun room, eat-in kitchen, dining room, great room, home office, laundry area, full & half bath, & a 2-car garage. Upstairs: master bedroom with private full bath & 2 walk-in closets, loft den, 2 additional bedrooms, bonus room, & full bath. 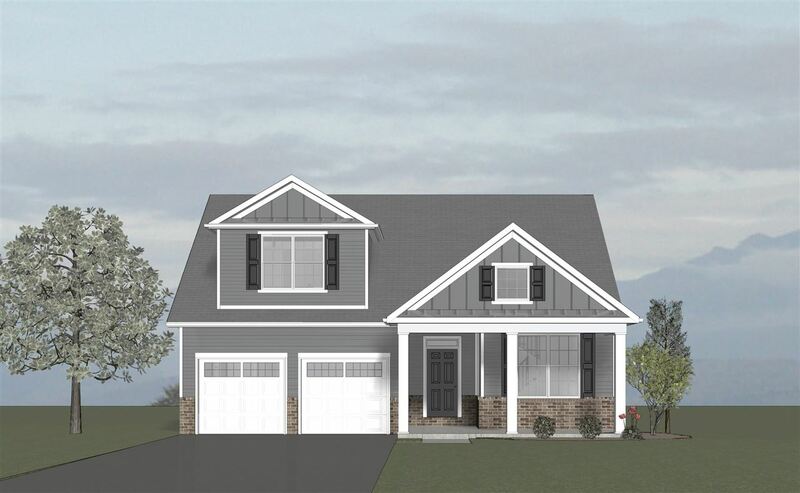 Walk-out basement: family room, bedroom, full bath, & large storage room with built-in shelving. 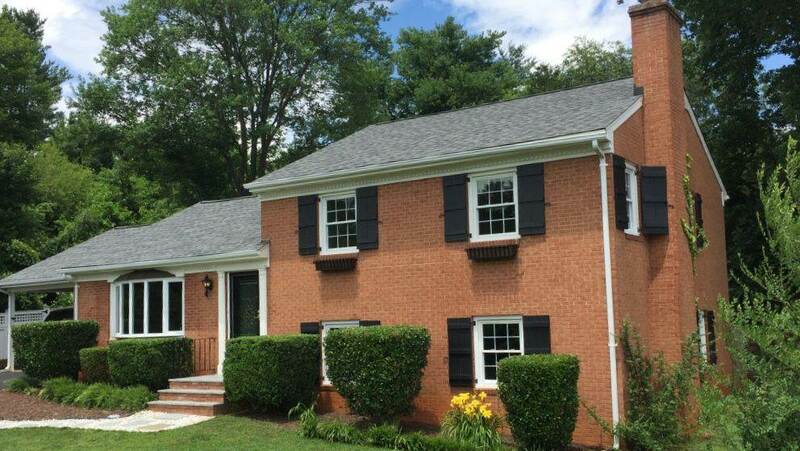 Exterior freshly stained; new carpet in upstairs bedrooms & basement; fresh interior paint throughout. Only 4 mi. to I-64; 6 mi. to UVa, UVa Hospital, and downtown C\'ville! 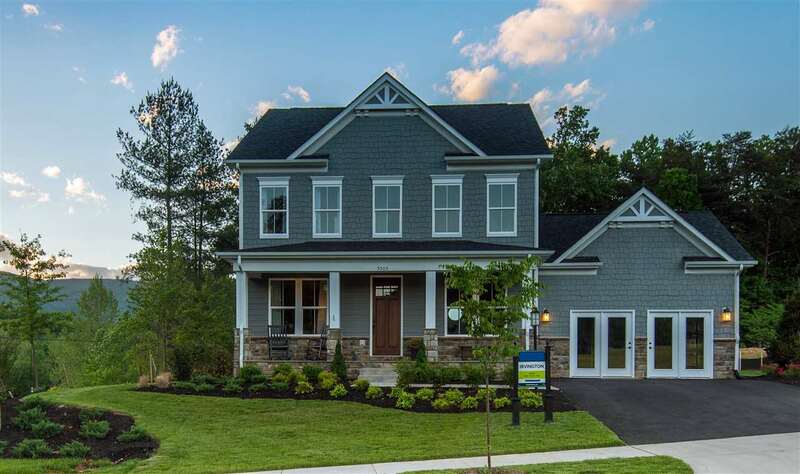 The best of both worlds, a short drive to UVA, shopping and the downtown mall plus the Rivanna Trail is in your own back yard! 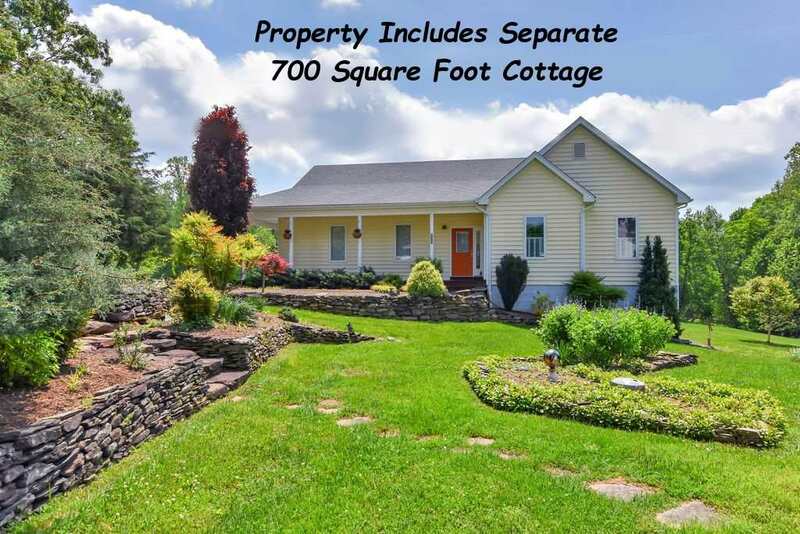 Charming city home on ¼ acre lot close to everything! 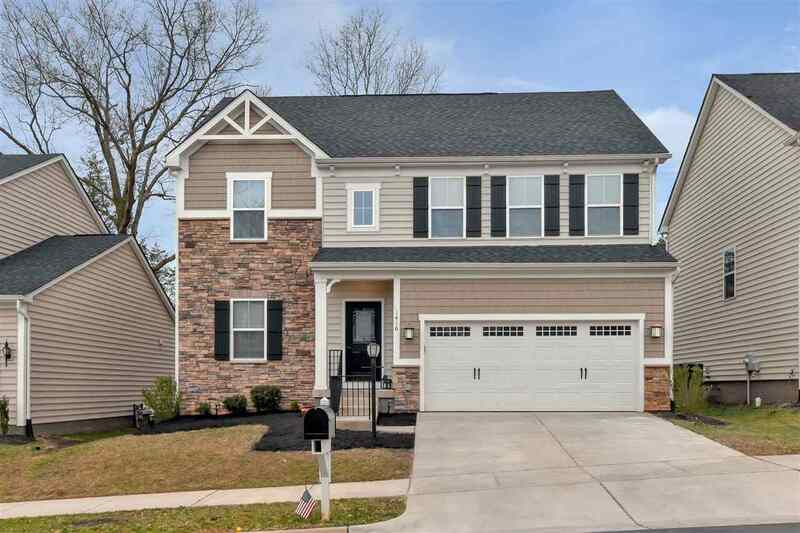 Flexible floor plan with three finished levels, recently refinished floors, neutral throughout, move right in and make it your own! Open kitchen and living areas make for great entertaining flow. Kitchen features center island, lots of cabinetry, stainless appliances and light filled space for your table! Adjacent is the living area with fireplace and access to the screened room. Spacious owners retreat with private bath attached featuring soaking tub, separate shower and dual sink vanity. The finished lower level is light, bright and open too! 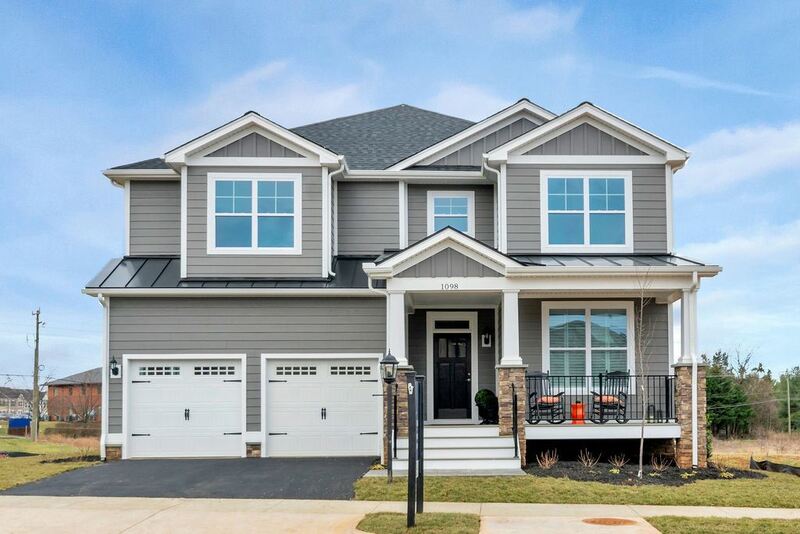 Come see this stunning 5 bedroom 3.5 bath home in the popular neighborhood of Ashcroft! This home is elevated and nestled among gorgeous trees. 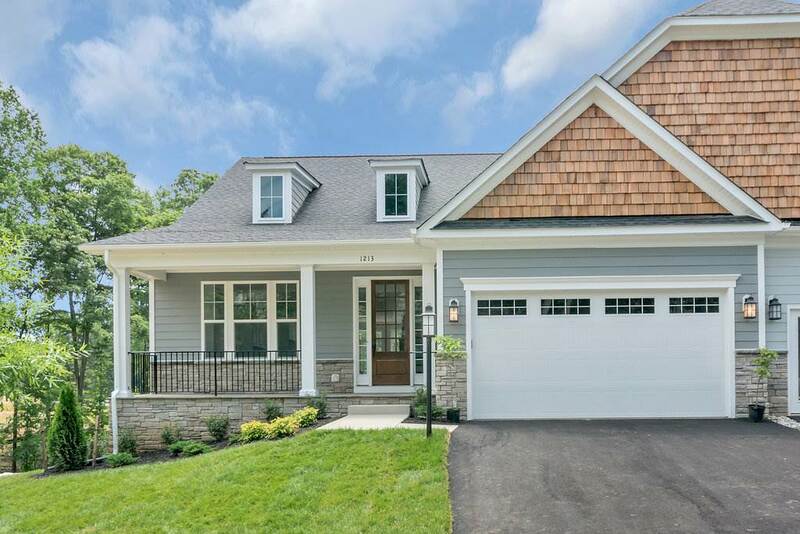 First floor master suite with office/nursery, hardwood floors, sun-filled spaces, granite counter tops, wood burning fireplace, finished walk-out terrace level with family room, built-ins, wood-burning stove, full bath, and guest bedroom. Oversized 2-car garage and a storage room, too! 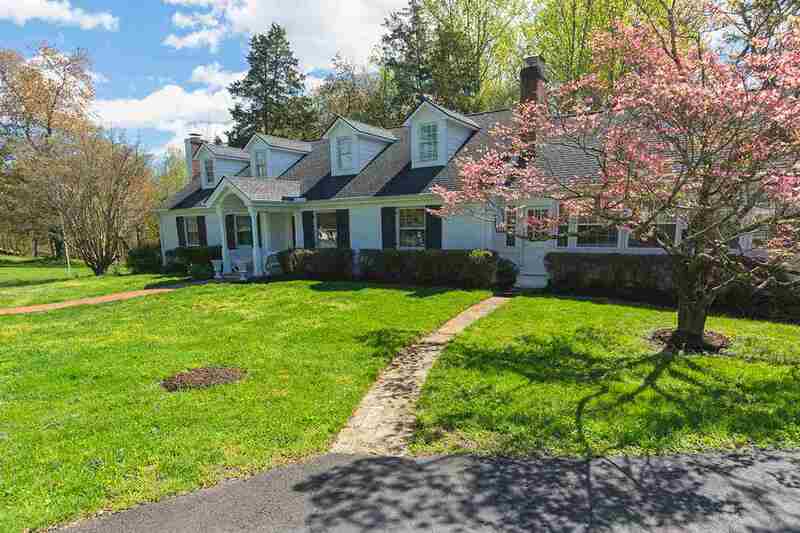 It feels like you\'re in the country yet so close to shopping, dining, UVA, and downtown! 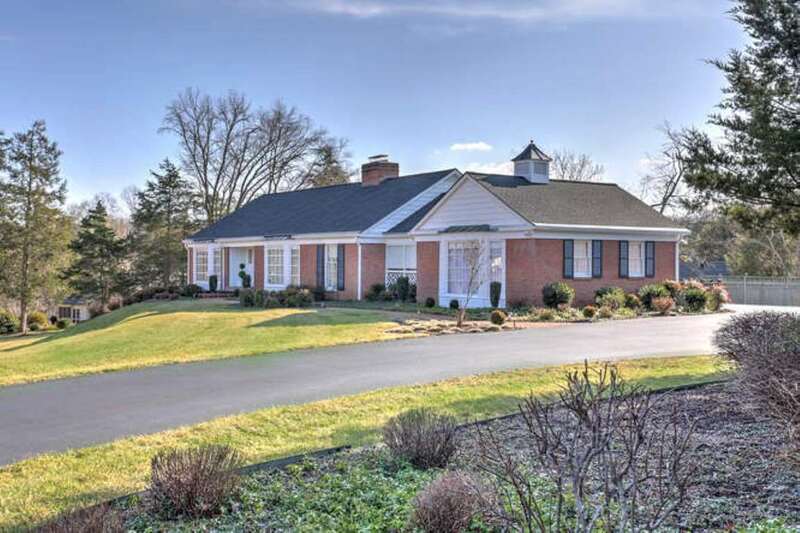 Classic, elegant brick colonial on almost 2 private, peaceful acres overlooking a picturesque pond. 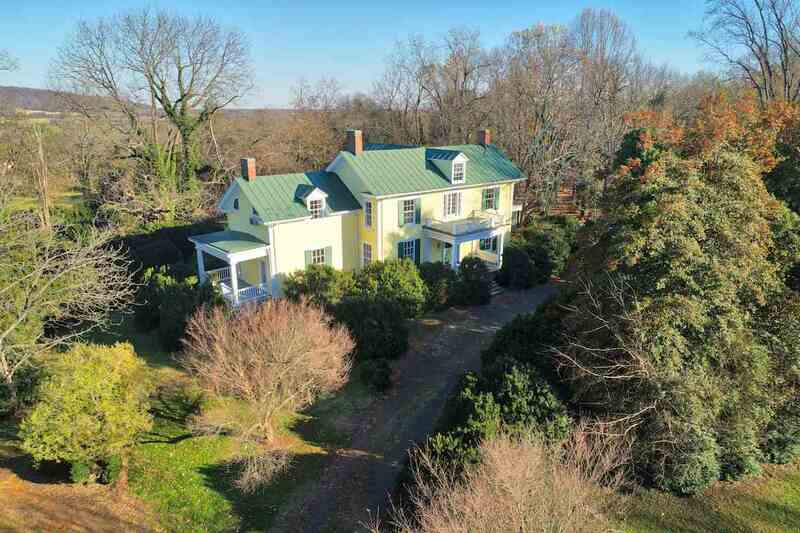 This home features hardwood floors on main and upper levels, multiple fireplaces, built in shelving, graceful mill work AND a main level bedroom with study and attached bath. Guests are greeted in the inviting foyer flanked by spacious, elegant living and dining rooms. 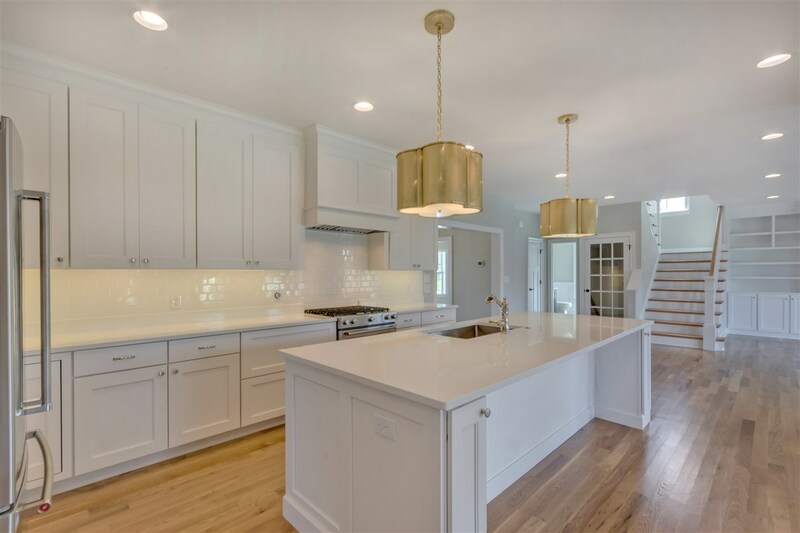 Updated eat-in kitchen is a cook’s delight with plenty of cabinetry and prep space, large island and granite counters overlooks fenced back yard, patio and pond. 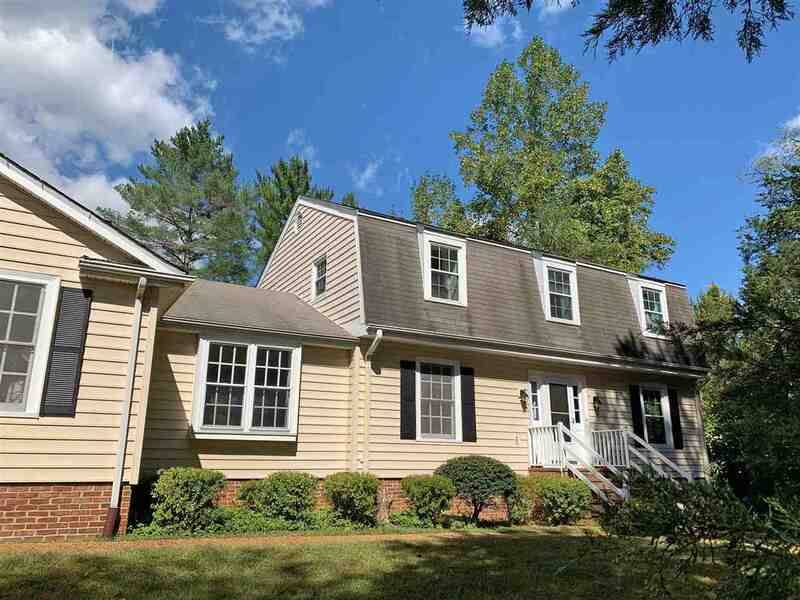 3 large bedrooms, including master suite, and 2 full baths on second level. Unfinished storage in basement too! 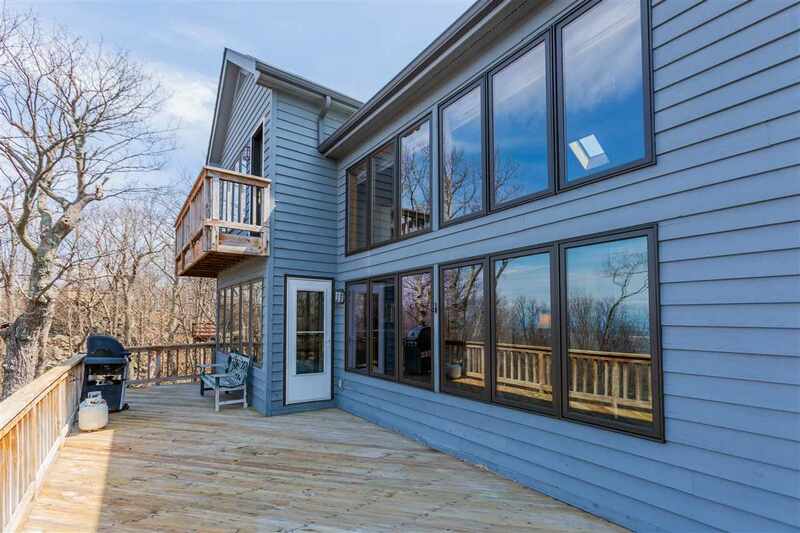 WATERFRONT LIVING with outstanding panoramic views from every room! 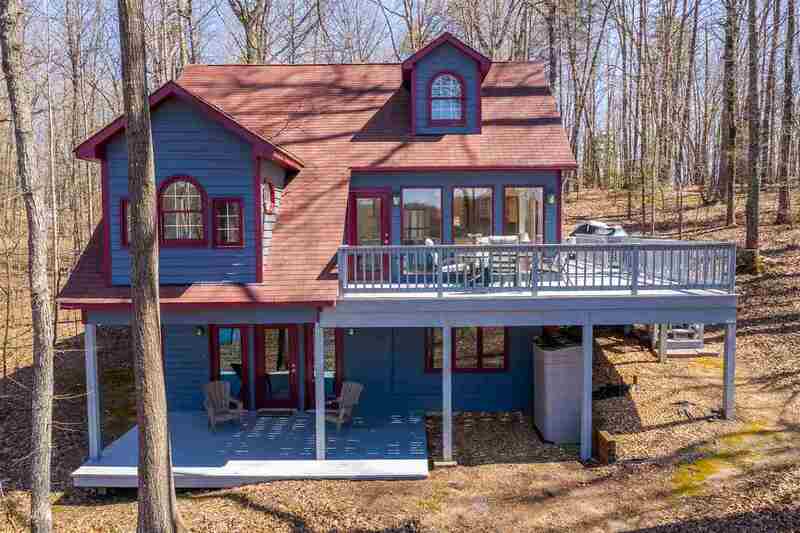 This custom built one owner home boasts 160 feet of main lake waterfront. 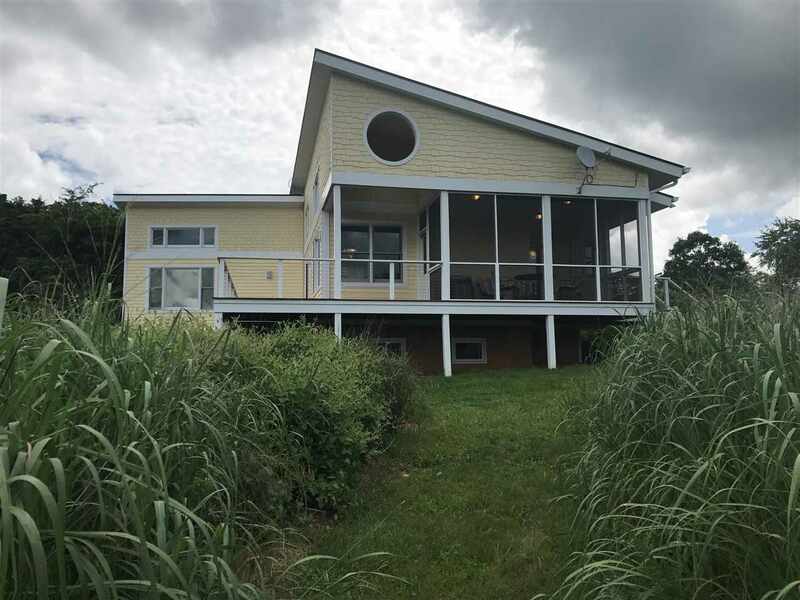 This home has a dock, relaxing screened porch and full length deck from which to recharge and enjoy nature & water activities. The sunrises and sunsets are your daily bonus. Enter to light-filled great room with gas fireplace, open concept kitchen & dining area, spacious First Floor Master with own deck access. Walk out terrace level has 2 bedrooms, full bath, family room with wood burning fireplace, office area and plenty of unfinished storage space. Gentle walk down to the dock. 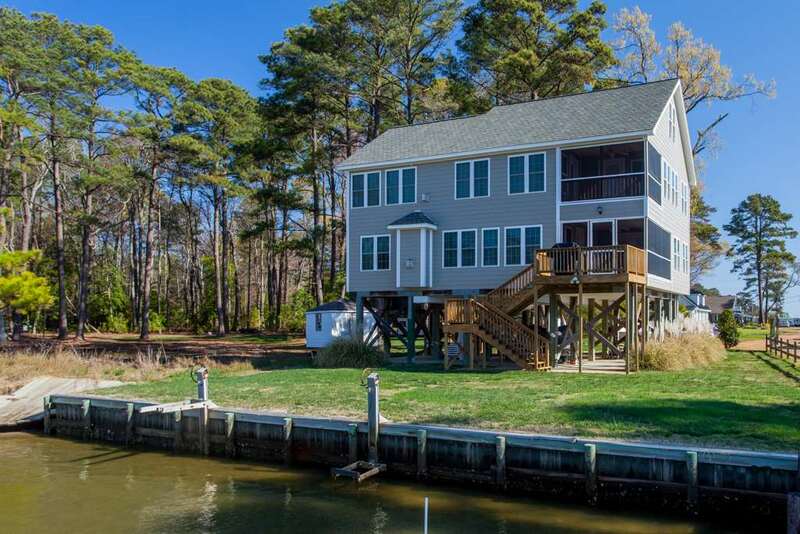 You must see to appreciate the water views of this home. Don\'t miss this one! 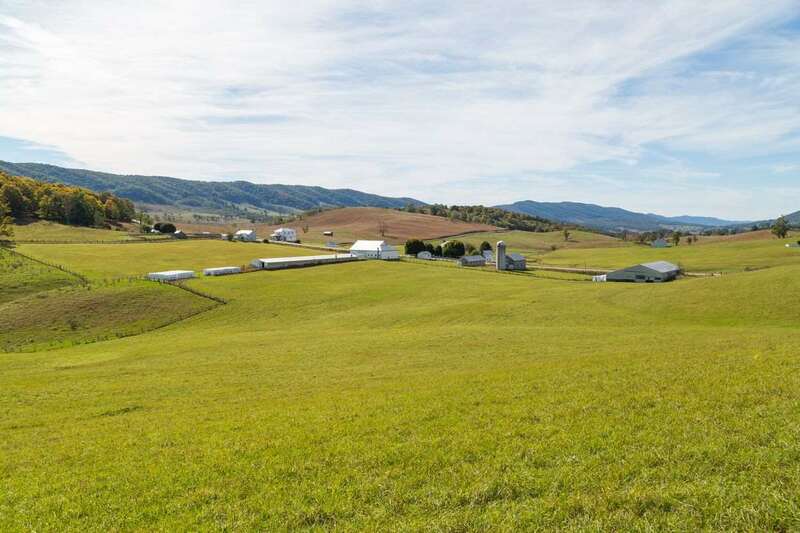 This 55-acre property is perfectly positioned in the heart of the Appalachian Mountains in Floyd County, VA. 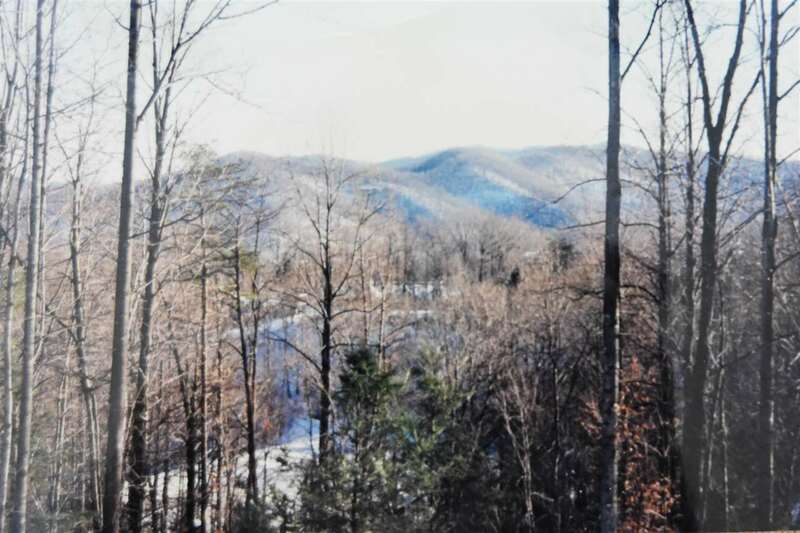 The custom built log home with floor to ceiling windows offers long-range views of Buffalo Mountain and an open living, dining, and kitchen area that are great for entertaining family and friends. 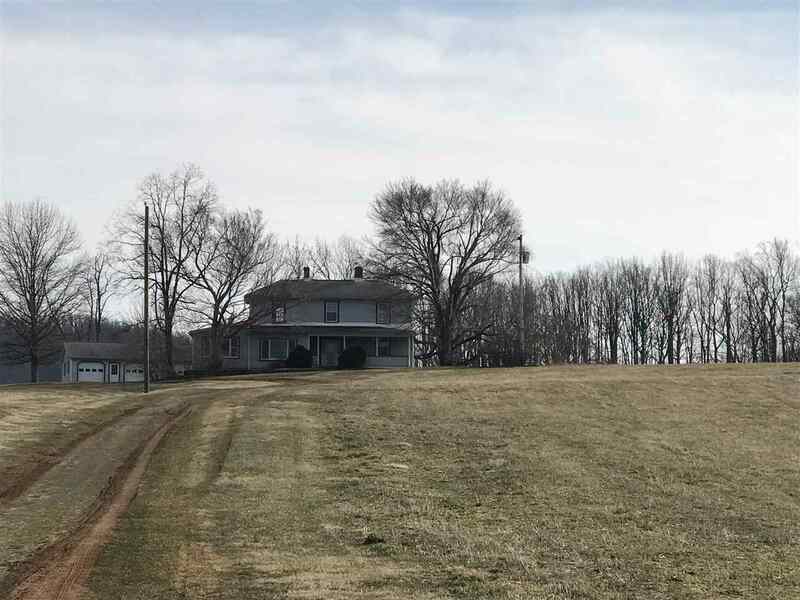 There is a main level master suite, 2BR and BA on the upper level, and an expansive basement that includes a kitchen area, BR, BA and great room.The acreage includes open pasture and woods, 5 springs, a large pole barn and interconnected trails throughout. 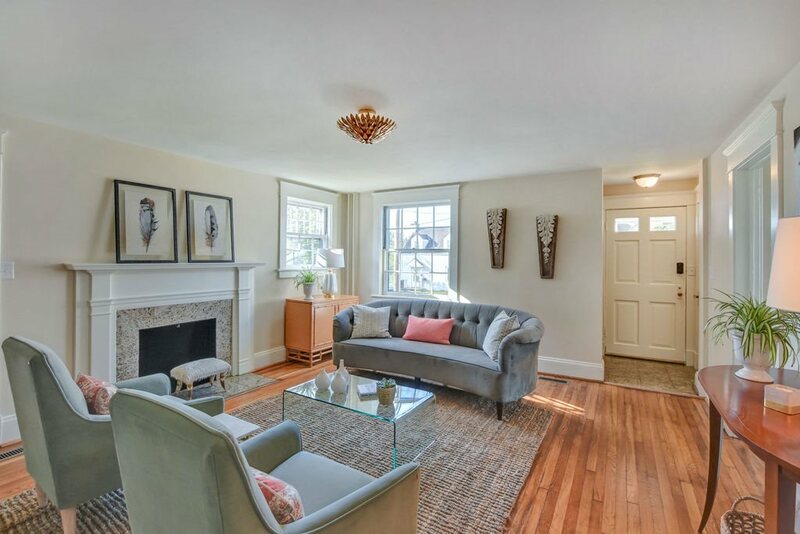 This property offers serene living in an area that is renowned for it’s diversity, hospitality and vibrant culture of music, art, local foods, and outdoor recreation. 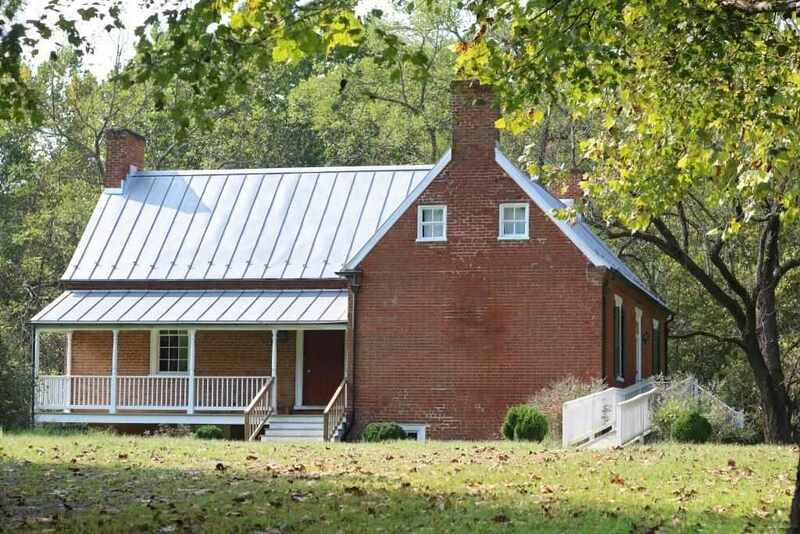 Handsome and Charming country house is a MUST SEE! Architectural details and quality throughout. 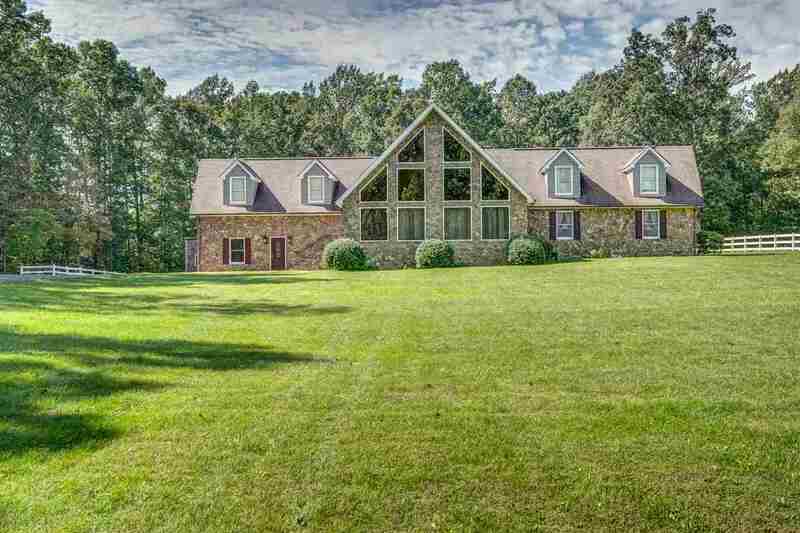 House sits elevated on 4+ acres. 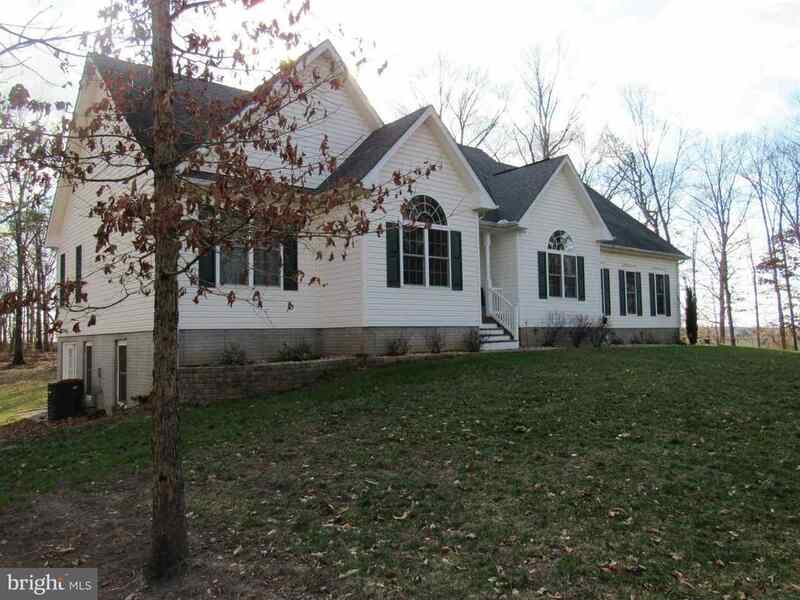 4BR, 3 Full BA plus detached 2-car garage. 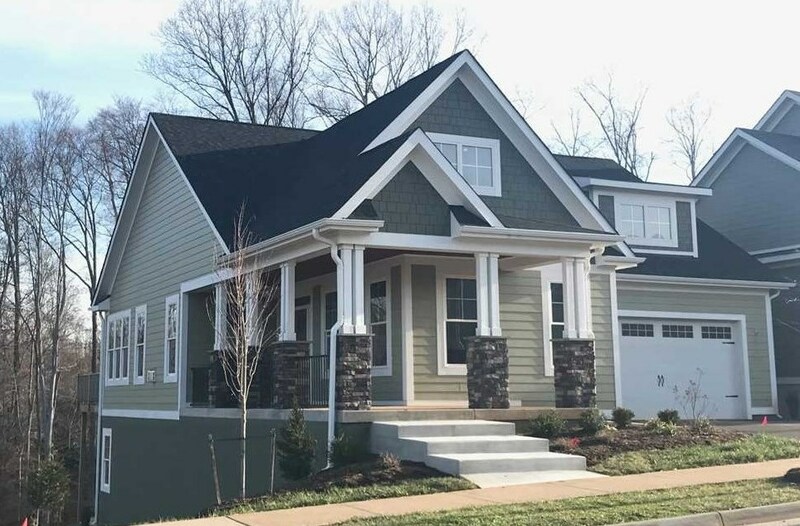 Features include: hardwood flrs, large eat-in kitchen w/ gas-cooking, double ovens, wine fridge, mudroom, bar, Family Room w/ gas fireplace & surround sound, screened porch. 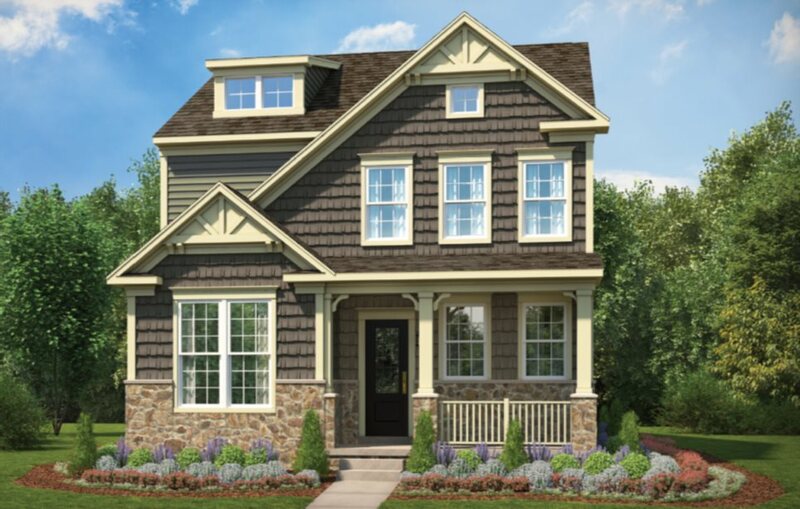 1st & 2nd flor MBRs w/ walk-in closets & on-suite baths. 2nd flr laundry room. Covered walkway from garage to house. Garage has 625sqft that can be finished for office or living space. Wonderfully landscaped grounds and beautiful pond. 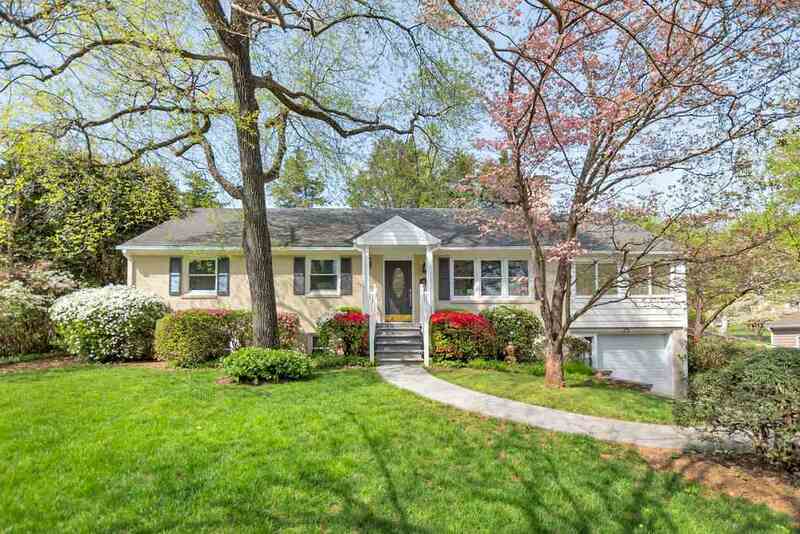 The perfect blend of 1940s charm and the shine of new house construction - total renovation in Locust Grove offers gorgeous hardwood floors, pristine custom kitchen, top notch appliances, and bathrooms that sparkle. 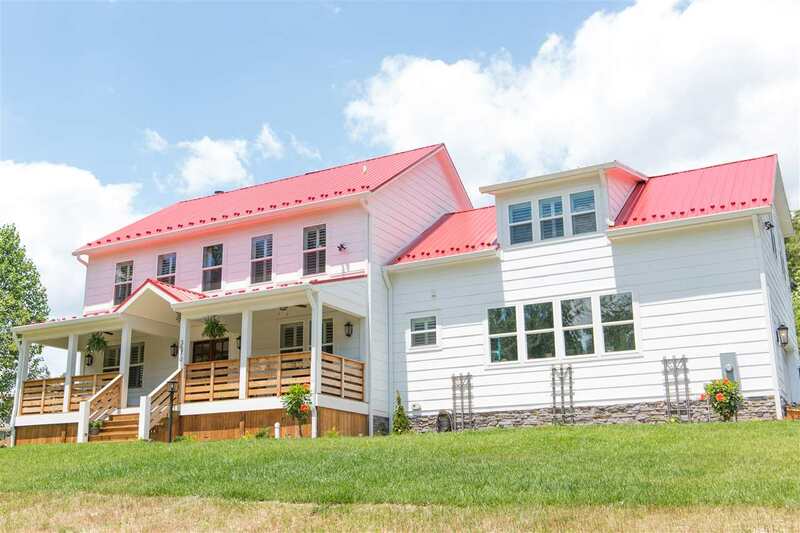 Upstairs offers 2 spacious Bedrooms and a Master Suite with spa style bathroom and private porch/balcony (winter mountain views). Convenient to 29/250/64 and hop on a scooter or bike for quick access to all that Downtown offers. Lower level Rec Room is a perfect Fan Cave or guest suite - second meter makes it possible to create a separate rental. This won\'t last long! This home is... 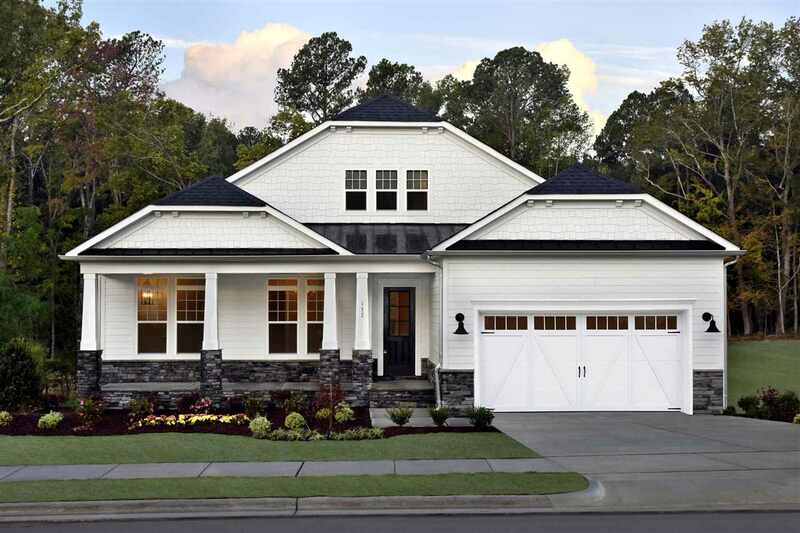 Beautifully appointed with high-end appliances and so many upgrades: Trex decking, mahogany floor in screened porch, heated floor in sunroom, Patio w/ fire pit. New HVAC in \'17; new roof in \'11; finished lower level in \'11, SO much more! 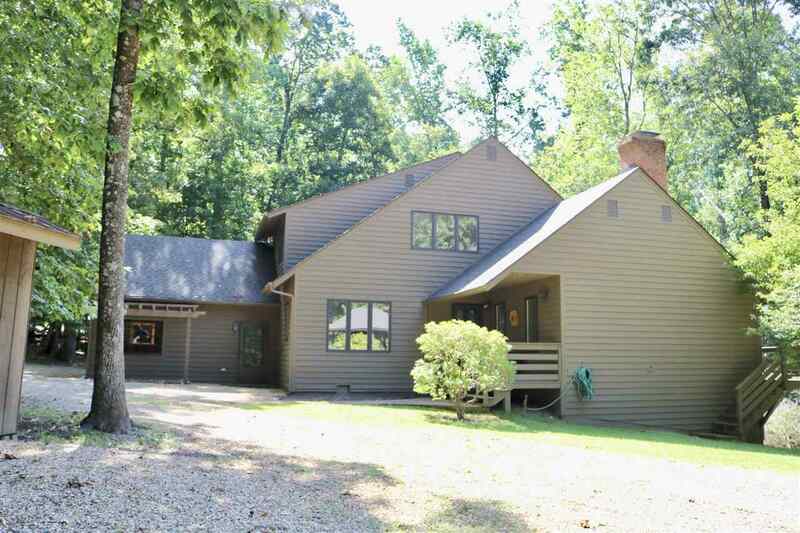 On one of the best & largest lots in Forest Lakes...Private w/ views, low-maintenance and in cul-de-sac. 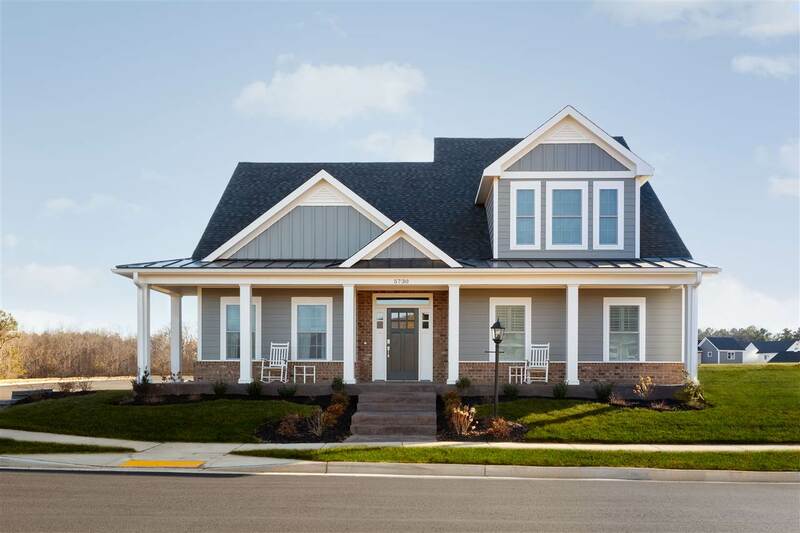 Model home for sale - Brand New Solar Panel System! 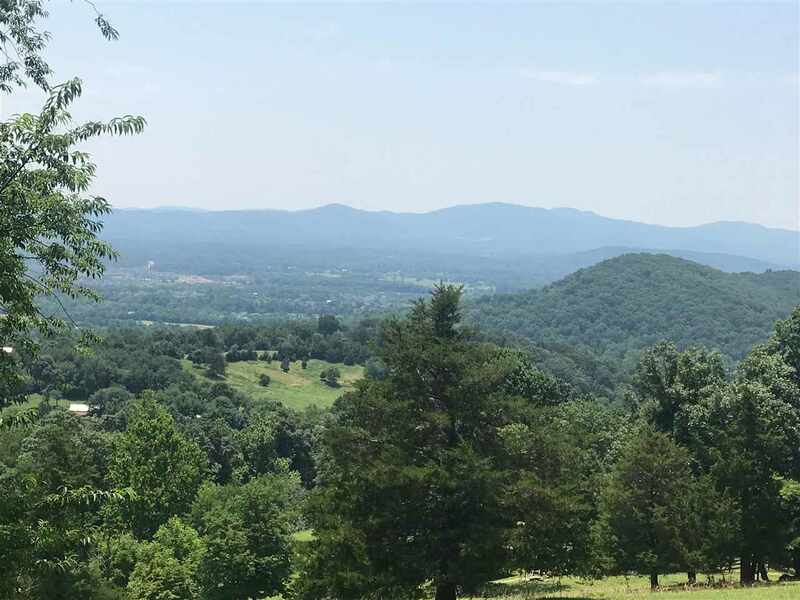 Don’t miss your chance soak up the beauty of the mountains in Chesterfield Landing, an intimate enclave of ½ acre homesites in the heart of Crozet, located in the highly sought after Western Albemarle School District. The Irvington is a 2,392 finished sq. 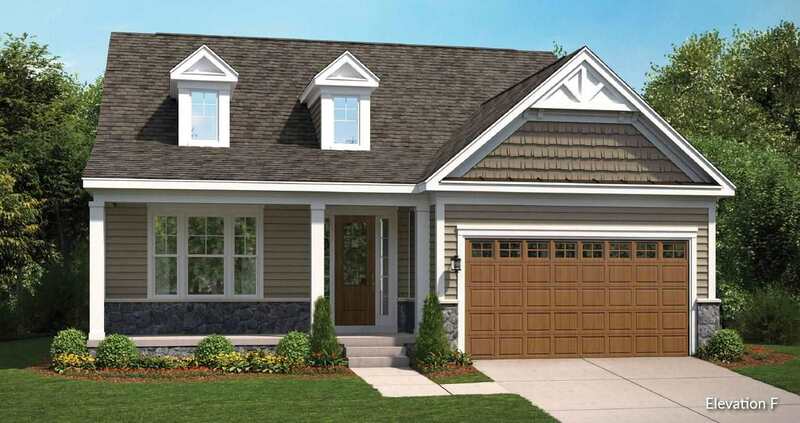 ft. two-level home with a spacious floorplan, perfect for entertaining friends or enjoying family at home. Features a beautiful kitchen with island, granite, 9\' ceilings including basement and built with Green Living features in mind. Other features include gas fireplace, SS appliances, screened in porch, stamped concrete patio, outdoor firepit and new solar panel system installed by Sigora Solar. The feel of country living with the convenience of city. 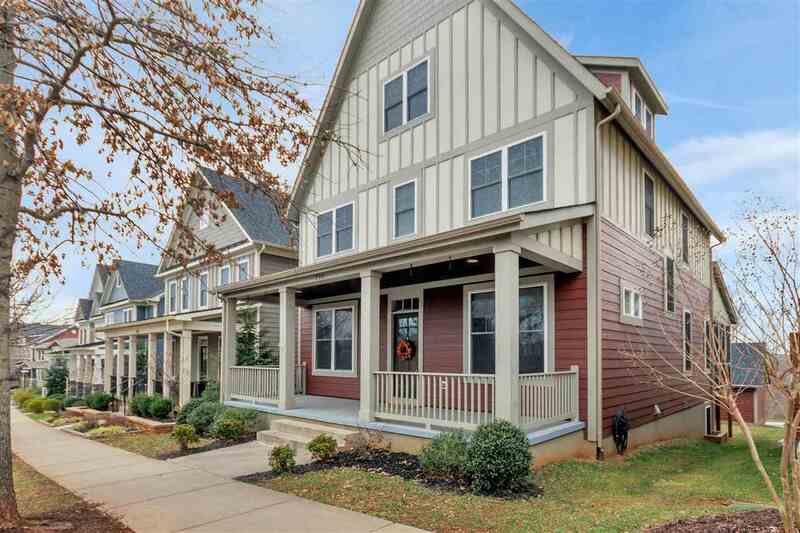 This two story Yoder built home offers five bedrooms, four full baths (at least one on each floor). First floor offers a formal dining room, living room (presently being used as a guest area) large kitchen with sunny morning room, family room, den (used presently as a playroom), full bath and laundry mud room. 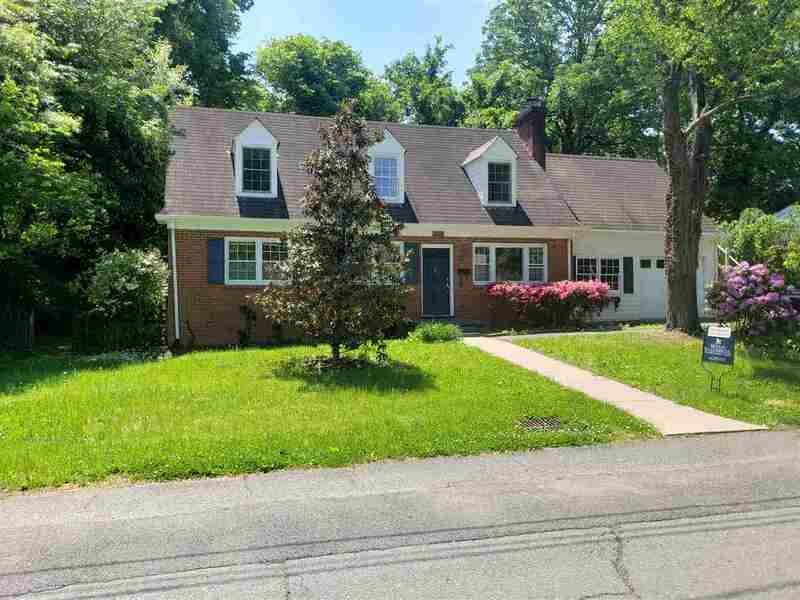 Second floor boasts a wonderful master suite with newly redone bathroom, two walk in closets and attached finished bonus room, plus three additional bedrooms and another full bath. The basement provides a large great room, exercise room, utility/storage room and an in law suite with full bath. Plus an oversized two car garage, custom deck, and a whole house generator. 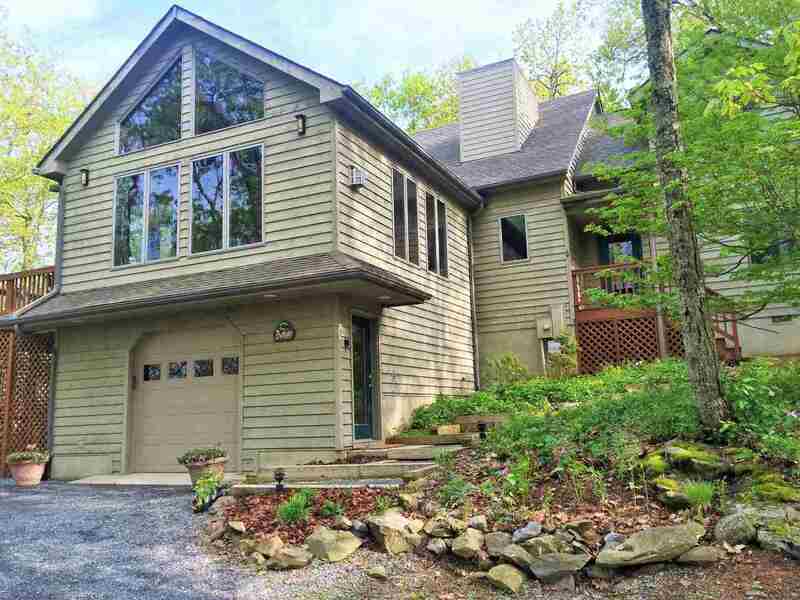 Beautiful, private river retreat is move-in ready. 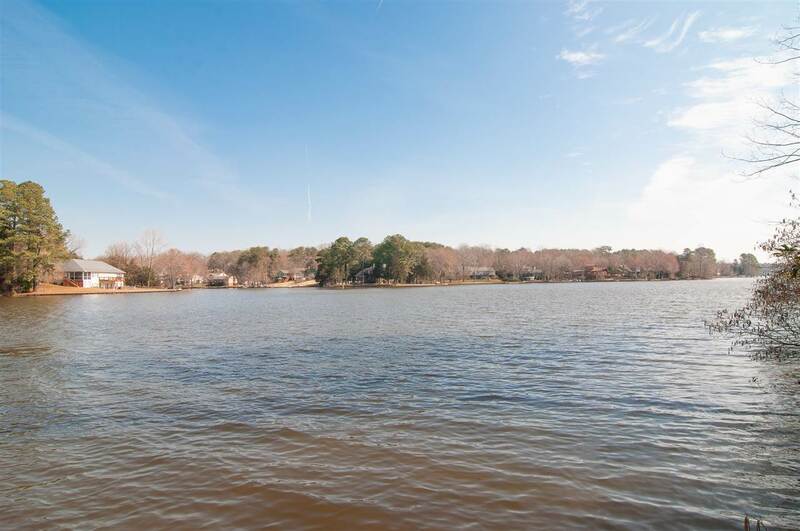 Park-like, waterfront setting, excellent boating, convenient to Deltaville and out of flood zone. 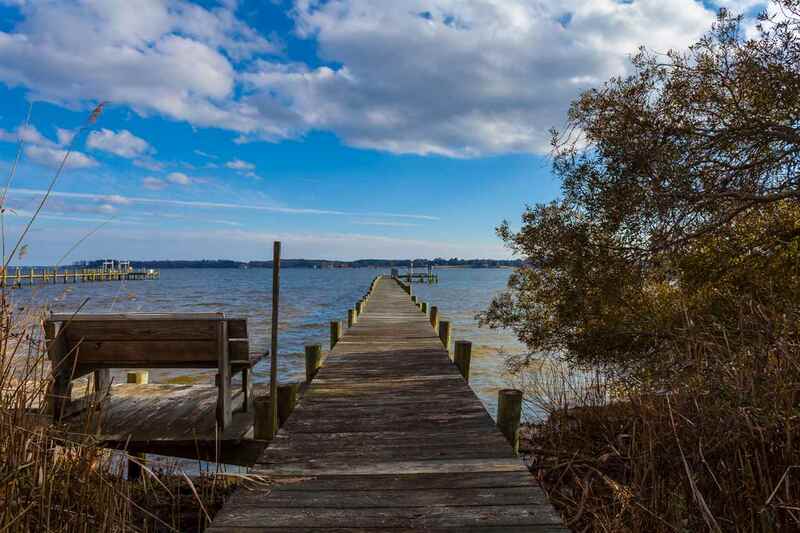 A must see in exclusive area on Piankatank River, a short boat ride from Chesapeake Bay. 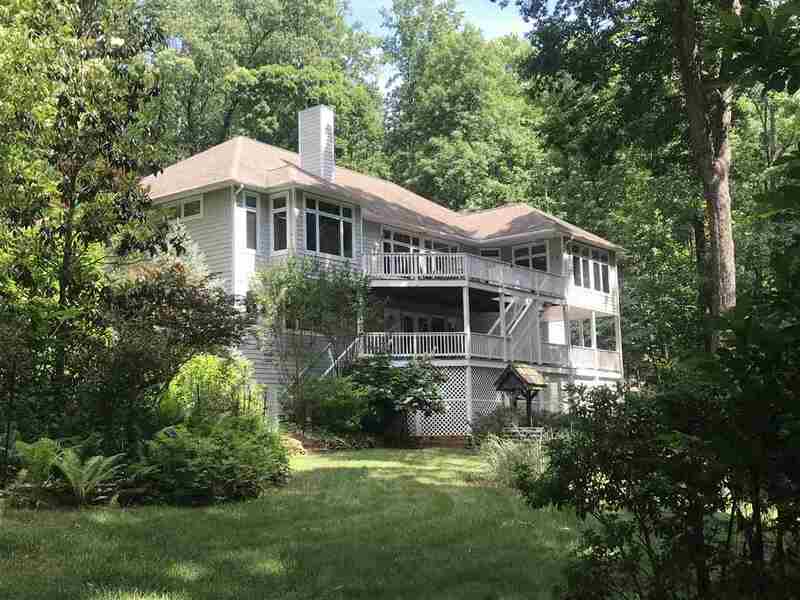 Sited on 2.11 acres, 176 feet of sandy bottom shoreline. Complete with deep water, pier, boat lift and power. 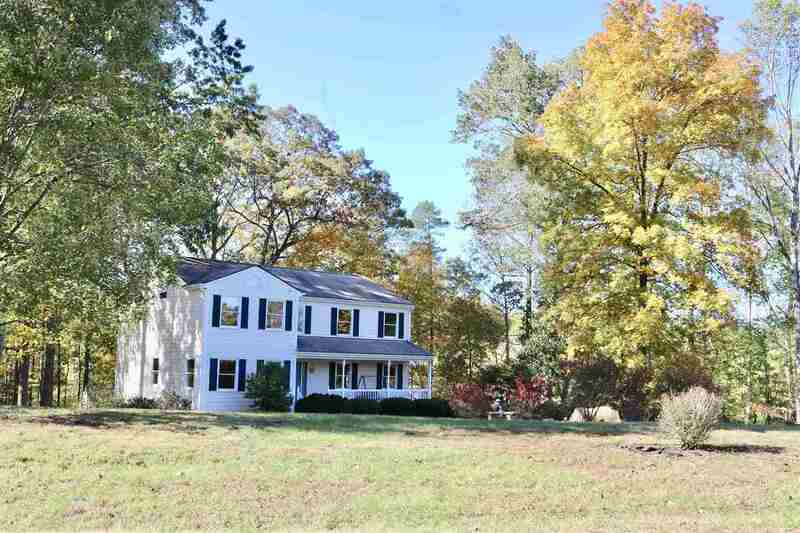 Lovely Cypress sided 1 1/2 level, 2,791 sq. 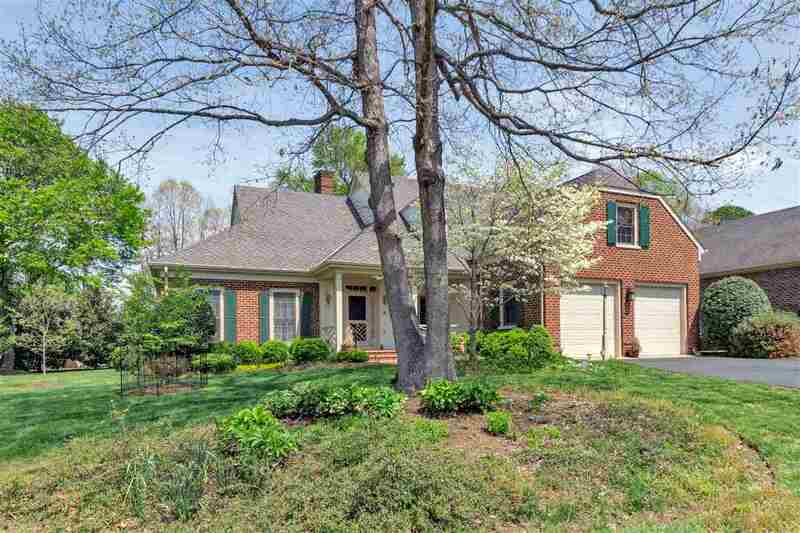 ft. home, 4 BR and 4 BA, great room, vaulted ceiling, heart pine floors, shiplap walls, new French doors opening to deck,lower walk-out terrace from finished basement.Open updated kitchen, stainless appliances. 1st Floor Master Suite, 2nd BR & BA. Upper level BR & BA. 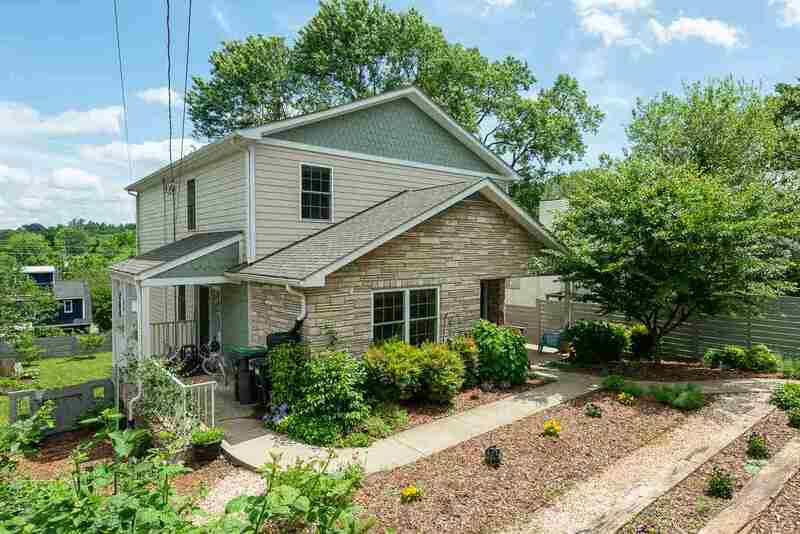 Lower level BR, BA, recreation room, storage, hobby space. Outdoor shower, storage shed. 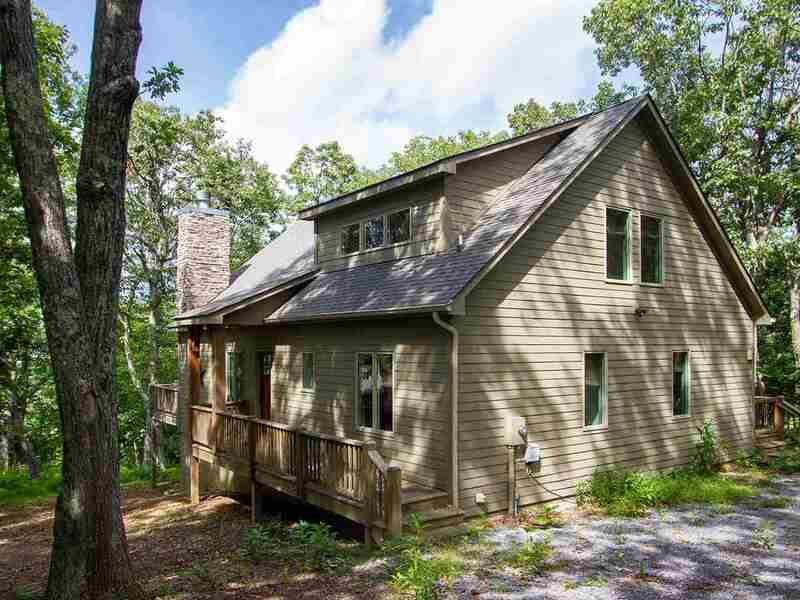 Ivy location... Tucked away on a country lane, this home was designed to mesh with its natural surroundings on 7 mostly wooded acres with winter Blue Ridge mountain views. 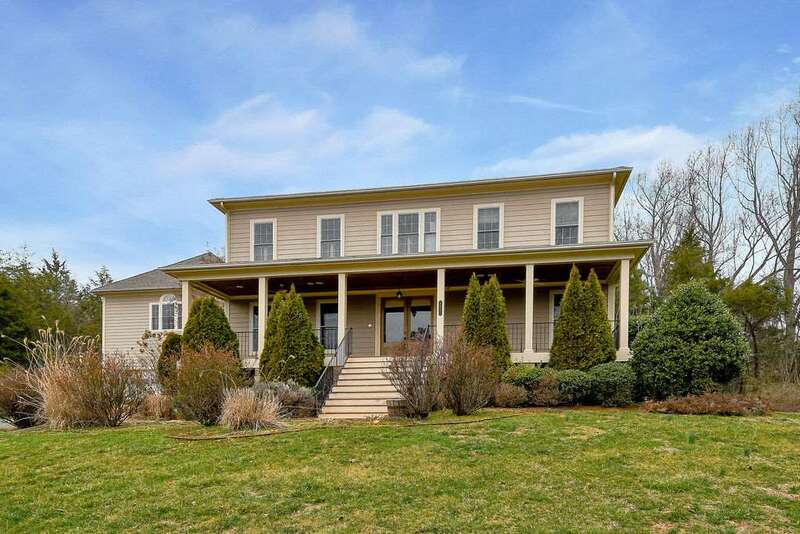 Beautifully finished, this comfortable home offers gorgeous reclaimed heart pine floors, 2 fireplaces, large country kitchen with maple cabinetry, quartz counters and gas cooking, spacious great room w/built-ins, first floor master suite, home office and finished terrace level. 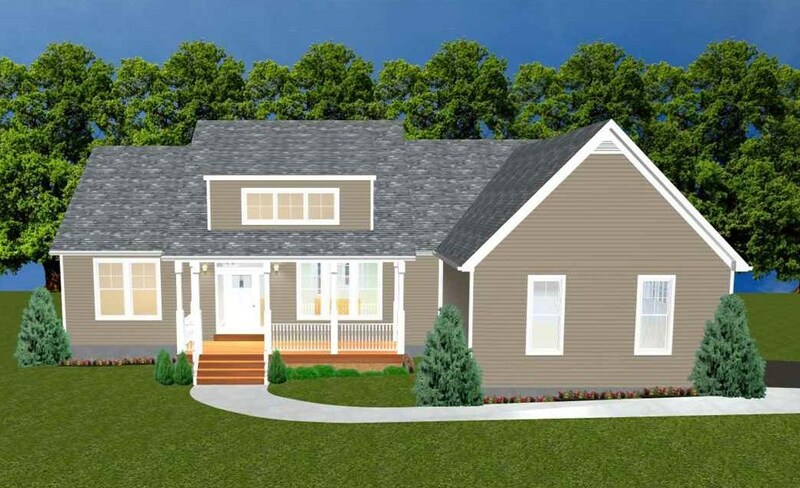 Additional features-screen porch, whole house generator, attached 1 car garage with walk up attic storage above and partially plumbed mudroom, detached workshop, shed and large carport. 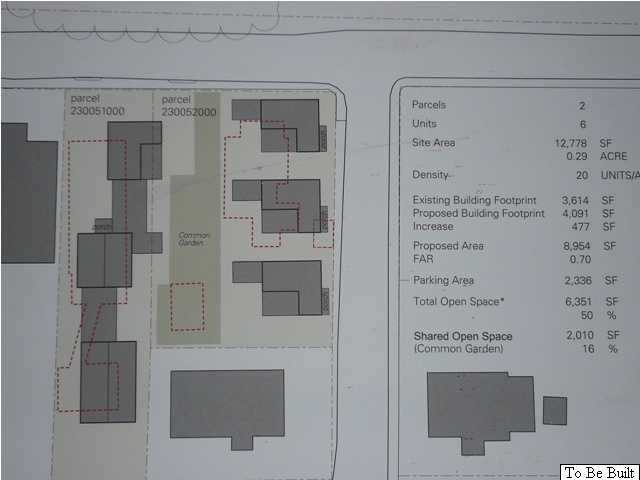 Potential to build a second residence as survey shows 2 additional division rights. REDUCED BELOW City assessment. Great North Downtown City location inside Bypass. Walk to Downtown. 5 Bedroom, 3 full bath brick home with a spacious, open kitchen/ family room, living room with fireplace and built-ins, family room on main level, rec room and full basement , first floor bedroom , 4 bedrooms upstairs plus laundry .Flat private fenced yard,oversized 1 car garage off street parking. 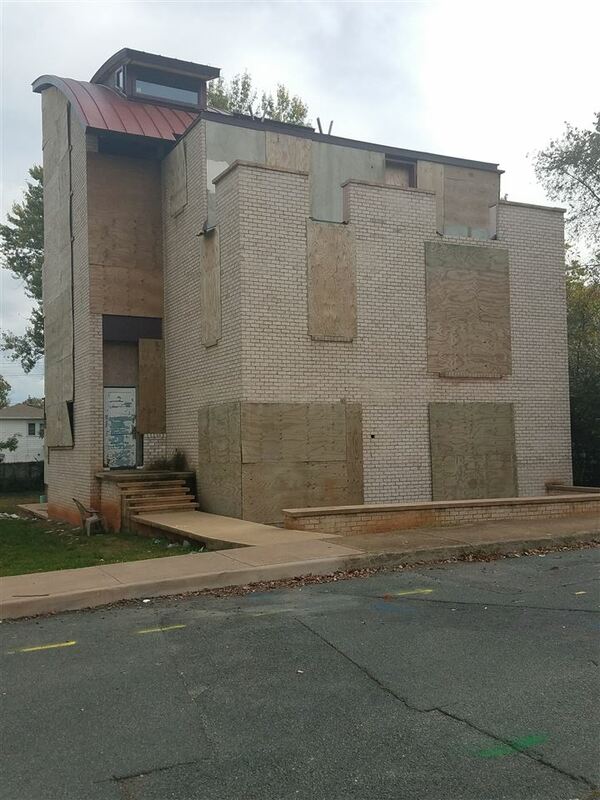 This house is vacant and easy to show. A lot of house for the price and location. Ready for a new owner ! Flexible closing . Bring offers. 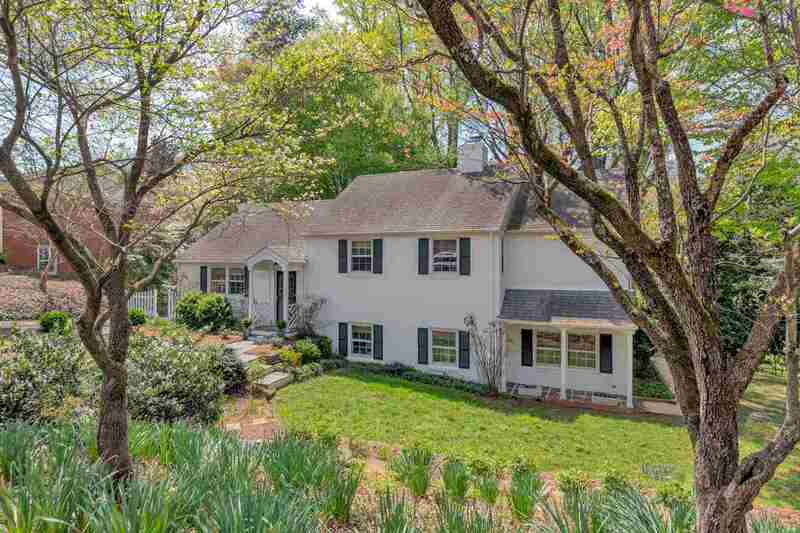 OPEN HOUSE SUNDAY 4/28 from 2-4....Sought after Meriwether Lewis school district!! 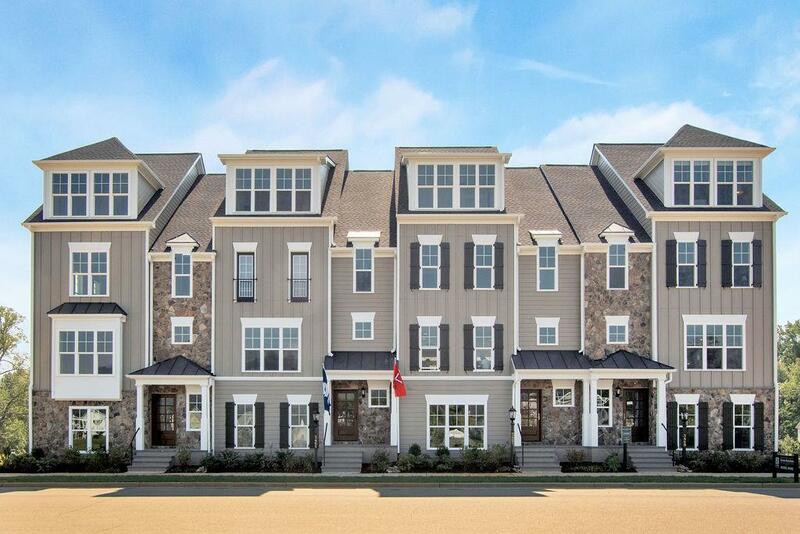 Glenaire is a multi-generational neighborhood offering a perfect mix of privacy and community. 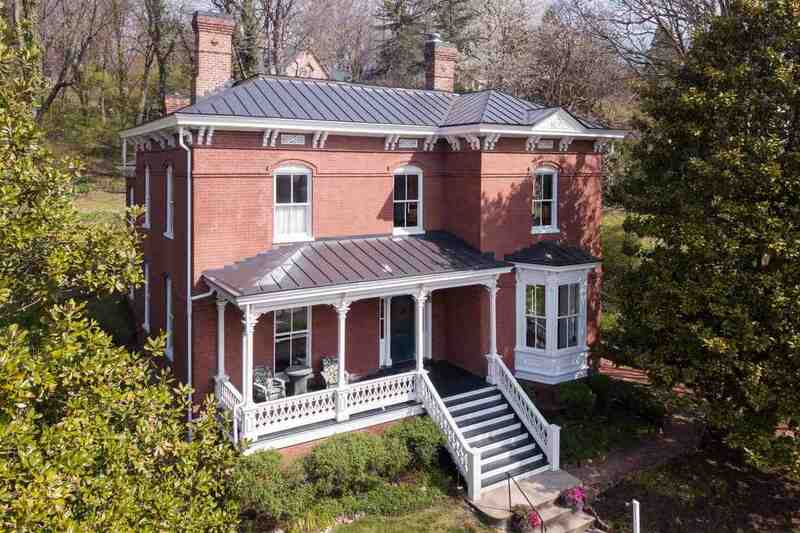 There are many ways to enjoy this stately brick home. To start, it is nestled on 4 acres of land with panoramic winter mountain views. There\'s a bedroom on the main level with an attached full bath (currently being used as an office). The open floorplan offers a combination of spaciousness and coziness (fireplace). The large windows enhance the homes natural light. 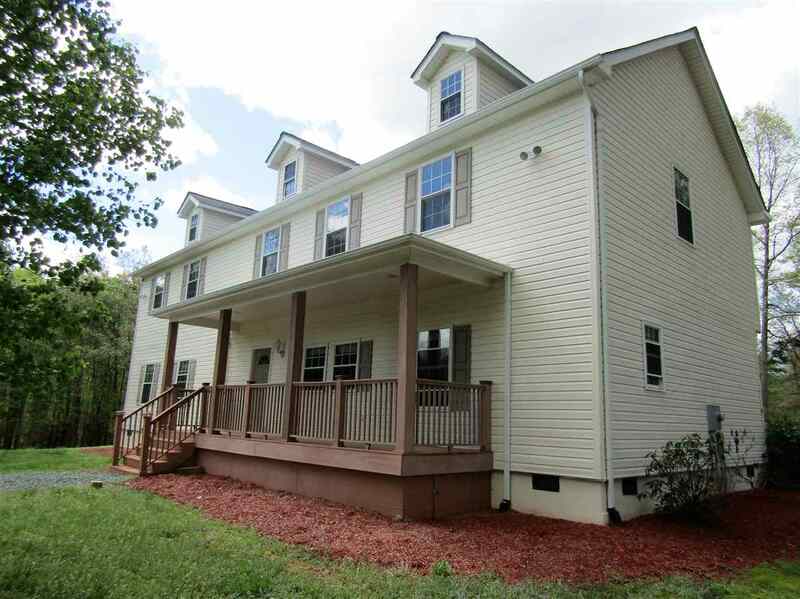 Off the family room you will find a 300 sqft screened in porch with access to the backyard. Terrace level has a large rec. room and ample space to expand -including a roughed in bathroom and fireplace. 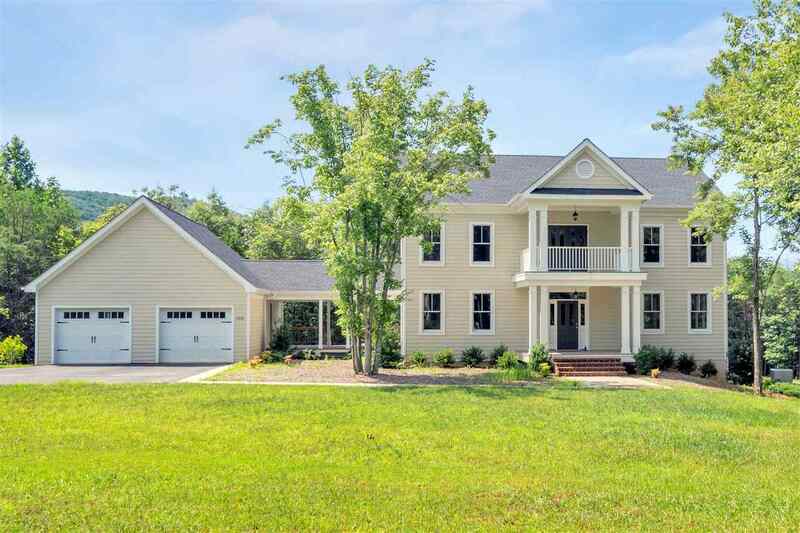 New 4-bedroom home on 3.6 acres with 4000 finished sq. ft! A cul de sac neighborhood. 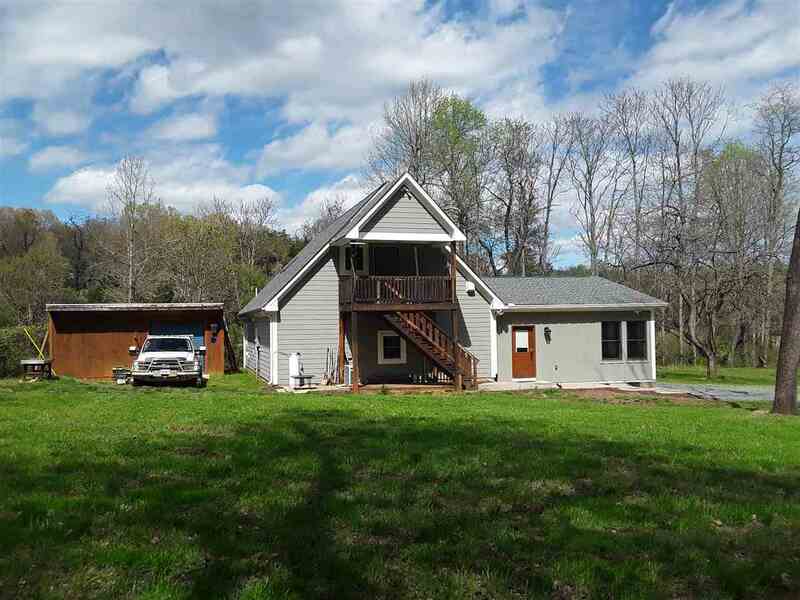 Pleasant views of yard and woods from covered decks front and back. Family room and eat-in kitchen are one great space! Center island featuring stainless steel appliances, maple cabinets and granite counters. Formal living and dining rooms. 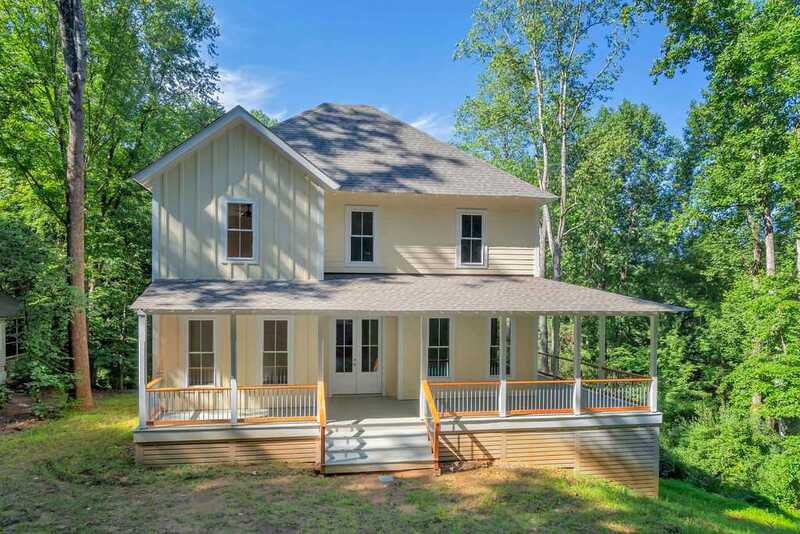 Master suite has an joining office/nursery with walkout to covered porch. Laundries on 1st and 2nd floors. Walkout terrace level w/huge rec room, fourth bedroom, full bath and storage room. Rec room is filled with natural light and has 10\' high wood ceiling. Covered porch w/ large dining area connects back deck and two car garage. Garage has permanent stairs to large storage room above. 8 mins to NGIC and 20 to C\'Ville. 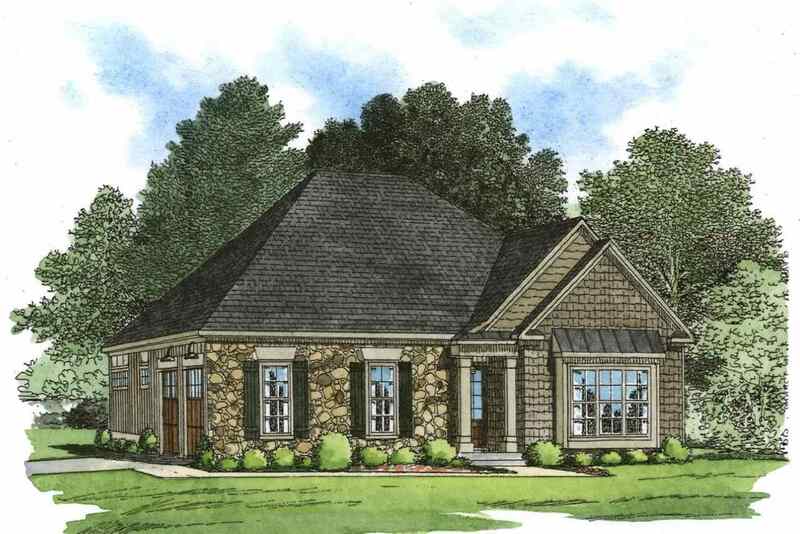 Southern Living Classic Design featuring a Formal Parlor and Dining Room, Eat-in Kitchen, 2 story Great Room with wall of windows and First Floor Master Suite. 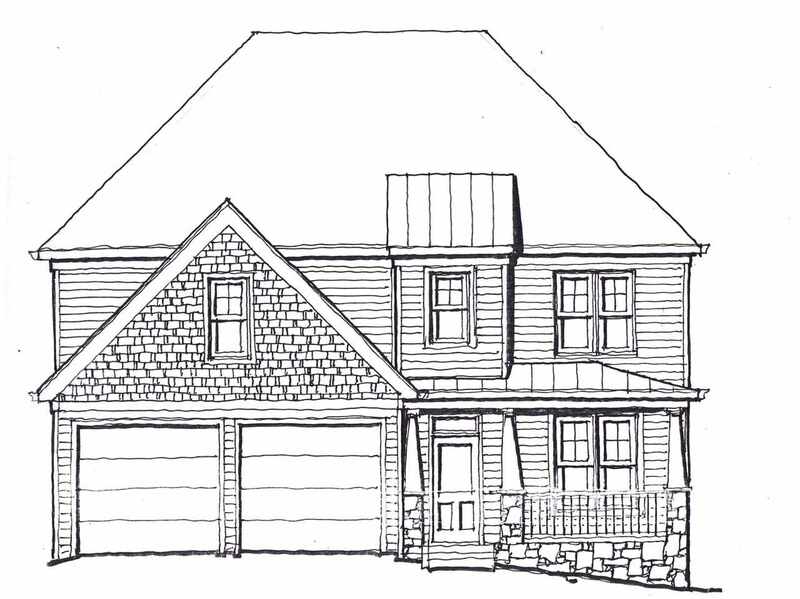 The Second Floor is highlighted by 3 large Bedrooms with walk-in closets, 2 Full Baths and Attic storage. There is a full walk up Attic as well. A Great Value with Golf Course Views and wonderful sunsets from the Back Deck! Enjoy the Glenmore Lifestyle: Golf, Tennis, Swimming, Fitness Center, Country Club and the Equestrian Center. This Home was formerly the Glenmore Sales Center and is being sold \"as is\". Now under construction with Summer completion. Superior LOCAL builder. Main level living at its finest with striking 10\' ceiling and exceptional master retreat with beautifully appointed master bath. 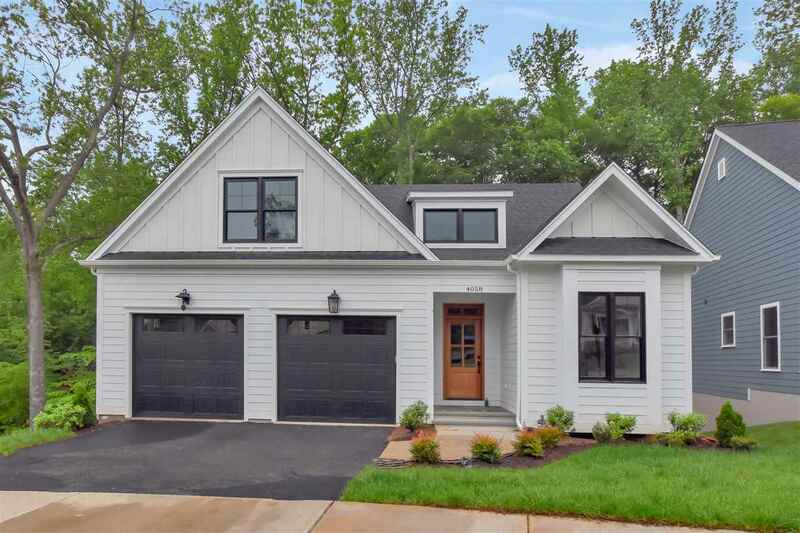 Charming home, open floor plan, gourmet kitchen opening to dining and great room featuring fireplace with slate surround flanked by custom built-in cabinetry. 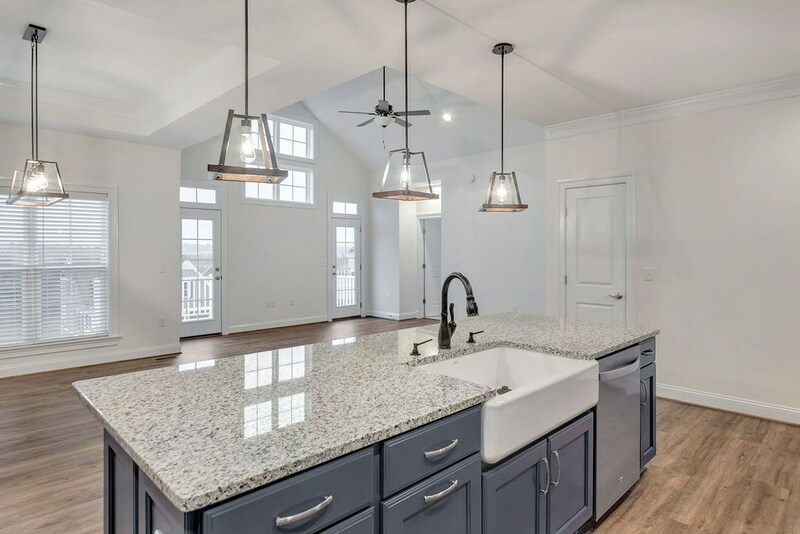 SS kitchen farm sink, high-end SS appliances, first floor finish-in-place hardwood, ceramic tile in all full baths and laundry, tankless HW, 2\" X 6\" exterior wall construction, and so much more! Three 2nd level bedrooms. Covered rear porch/entryway. 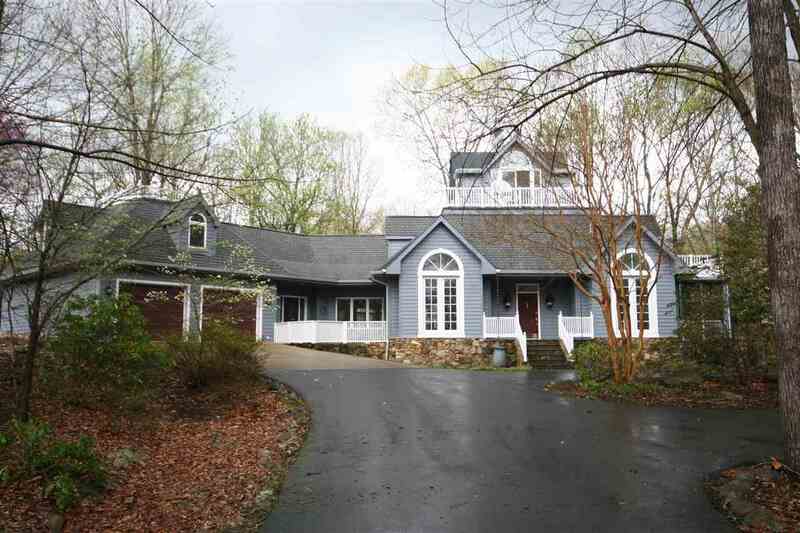 Detached 2 car garage with finished carriage house above. 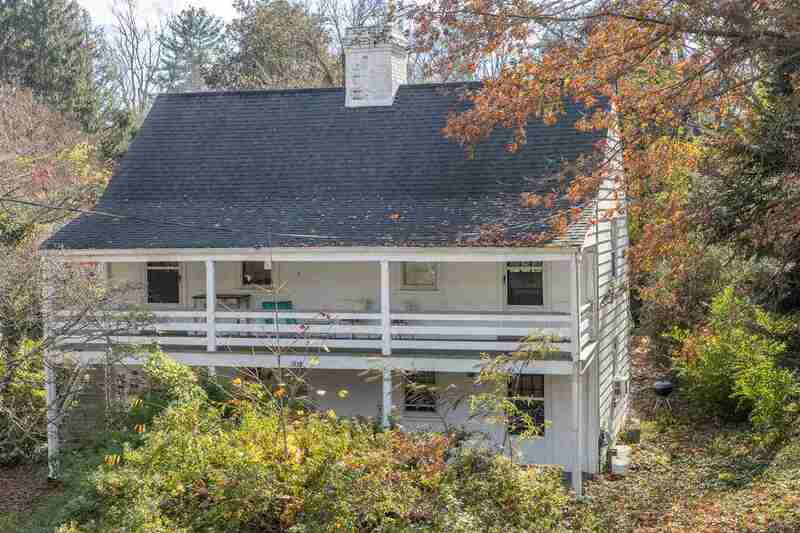 Fantastic rental opportunity or space for visiting guests.